© [Ayurveda herbal home treatment of sick birds zebra finch,parrots budgies etc], [ Jan 15, 2010 @ 12:22]. Unauthorized use and/or duplication of this material without express and written permission from this blog’s author and/or owner is strictly prohibited. Excerpts and links may be used, provided that full and clear credit is given to [https://hinduismglance.wordpress.com] with appropriate and specific direction to the original content. Published on: Jan 15, 2010 @ 12:22 INDIA.PLEASE LEAVE A COMMENT IF YOU FIND THE BLOG USEFUL. This treatment is applicable to all bird types.I am a female IT professional not a man,so please do not address me as Sir.If you regularly leave feeds and water for birds(hang an earthen pot according to the size of bird visitor)Birds will make your home their home.Do it without expectation.I am sometimes available to answer. It’s a do it yourself bird manual.From a student to a rich person,everyone can do this little service. Share this article on Facebook twitter and other social media,click like if you like the article.If you want my contribution for your website,let me know. 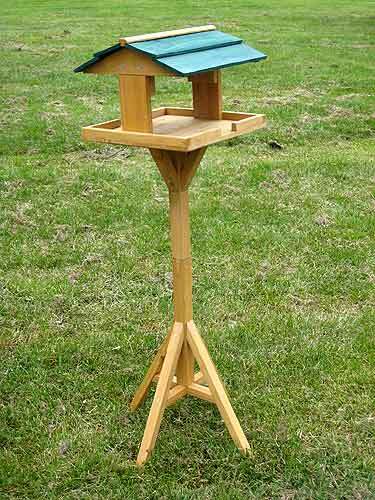 Suggestion to BJP government.A small scale bird housing industry can create employment and means of livelihood in villages.Bird feed packing,Ayurveda herb packing,rescue bird feed product,designer bird house for garden birds made from re-cycled products etc will make a good small scale industry. 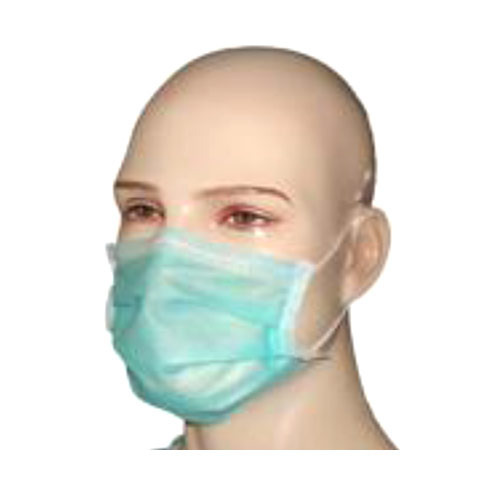 Always use Mouth Mask while doing cage cleaning.You can make your own colorful designer mask using cotton cloth with rubber string.The world become more exciting when you are creative. 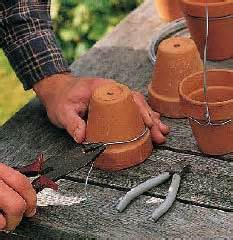 Hang pots with metallic iron wire. 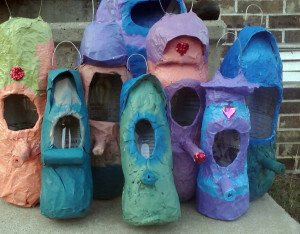 If schools in India teach children to make wild bird houses and feeders from re-cycled products,then we can create many homes for different bird species.Parents and Teachers must monitor in putting iron wires hangings so that children do not hurt themselves.Children can learn about wild birds,feeding,habitats and also donate a house accordingly.All schools must organize this bird protection movement once in 6 months. Baby Feeding for rescue birds. 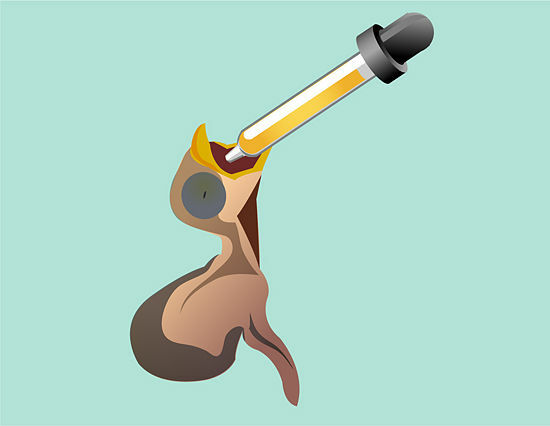 Pour or siphon the mixture into a clean eye dropper.The baby bird will open its mouth if it wants to eat. It will also keep its mouth closed when it has had enough. Don’t force it – return later.baby birds need feeding every hour in general (larger birds every two hours). 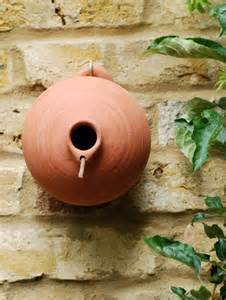 This is something to do combined with general tips on caring for fledglings, such as keeping them warm, in a dark place, and in the quiet. Check the bird is abandoned or lost. 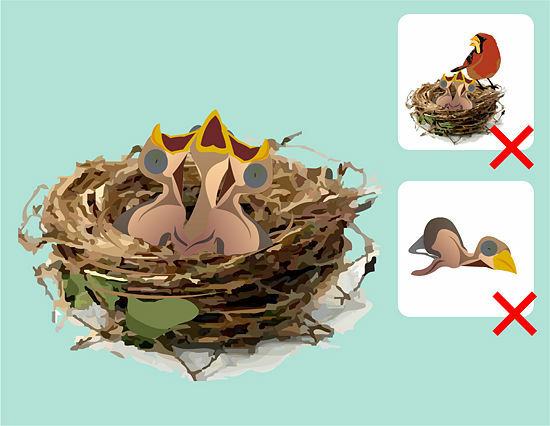 It is wrong to take baby birds from their nest when the mother bird will likely return. Check for injuries as well, and do not try to feed if injured. Mix and mash it continuously with spoon in a clean bowl till you get the right consistency.You can use clean mortar and pestle to mash the food. Neither hot nor cold, but preferably room temperature or slightly warmer. You don’t want to burn the baby’s mouth, and you also don’t want to feed cold food. You can add some fresh sweet orange or papaya or water melon or apple pulp juice if you have fresh fruits at home.Add it only when serving. This can remain fresh in refrigerator for one day or max 3 days.Store in clean air tight container. Do not use microwave to warm it. This is also the cure for stray sick birds who often lands in front of my door.Hindu habit of planting trees,flowers,herbs, giving a bowl of fresh water,bird feed on the terrace for wild birds.Making few extra chapatis/food for cows and street dogs is a part of ancient practice. A twisted neck (sometimes called torticollis, or ‘stargazing’) can also be a symptom of a number of disorders, which effect the nervous system and cause the twisting. One such problem is caused by a calcium deficiency, and in chicks this can lead to all sorts of trouble (brittle bones and malformed limbs being one). This normally crops up in hand-reared birds, but I suppose if the parent’s diet is poor it might happen with normal rearing. Apparently no matter how close to the natural diet you can get to giving hand-reared birds, somehow the calcium and associated vitamins do not balance right (I have been informed it is regularly seen in zoo collections, despite having vet-grade calcium supplements). The second, and probably more scary, major cause is a disease from paramyxovirus (of which there are several types) which is highly infectious, causing diarrhoea, inappetite, wasting, paralysis of wings and legs, deformities of the legs (from the paralysis), head tremors, fitting, neck twisting. This infection normally affects pigeons, but is also seen in poultry and waterfowl (which are usually vaccinated for it), and can be contracted by other birds, such as our caged ones. I have also seen neck twisting as a result of head trauma, which I have seen successfully remedied by veterinary treatment. As this is what your own vet thinks has happened to yours, the outlook is good – fingers crossed! Man and nature must live in harmony.Man must take care of the lower species.Every human being must do a little farming to sustain wildlife.Do not spend your whole life watching Television. Herbs are not dangerous to birds. 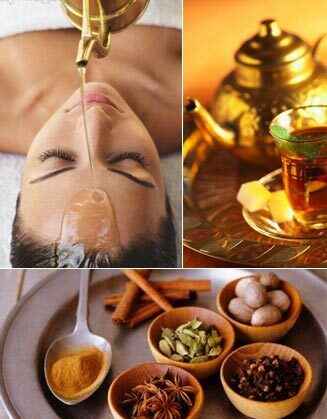 Ayurveda treatment is the best for your birds.This blog gives free Ayurveda healing. Mite,lice,red mites infection,feather plucking in birds:If your bird is scratching too much,scratching its head on hard surface, then the following treatment will help.You might see bald areas on the bird.Boil Neem leaves in water.Drain the water with a sieve. Let it cool at normal temperature.The best bath is just give a spray of Neem water with a plastic hair sprayer.Keep a glass bowl aside with a drop of Neem oil,a drop of tea tree oil .Apply the oil on the birds legs with clean earbud. Dust the legs with wheat flour using ear buds.This will stop the leg being slippery. Aloe vera gel is the best soothing lotion for bald areas.It’s best if you extract it from a fresh leaf.You can also apply the remaining extract of Aloe Vera on your scalp and skin for good hair and skin. Human precautions against crawling mite infections.AVIAN FLU 1.Do vacuum cleaning of your beds.Put the mattress out in the sun on a dry day.Throw off the vacuum cleaning bag immediately.Put dry neem leaves under the bed. 2.Clean you entire house floor with water mixed with neem water.Especially under the beds using a long handle floor moper. 3.Wipe out the dust from all the show pieces. 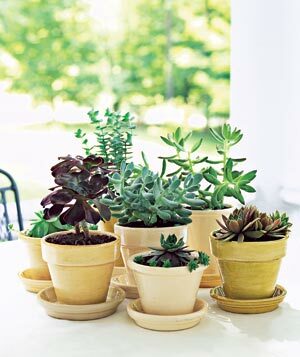 4.Take bath with warm water mixed with neem water. 5.Clean your scalp with a jug of water and one cap of cetrimide. 6.Drink Neem water on empty stomach early morning for 1 week. 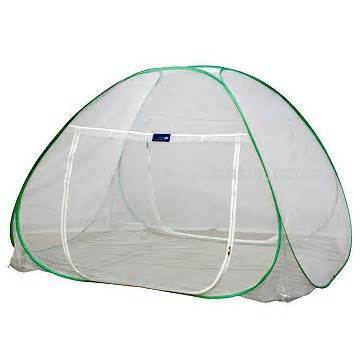 7.Spray neem water in the cage with sprayer and wipe off.8 8.Put a white towel on a big glass jar full of water and a lamp over it in the night time.You can see the mites as they will get attracted to the light and crawl on the white towel. 9.Wash bed-sheets and clothes in hot-water mixed with dettol. 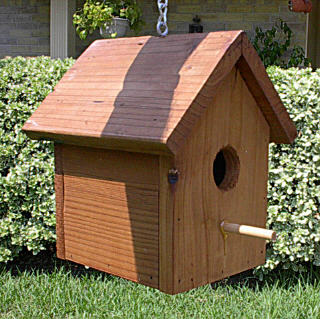 Disposing off bird waste,droppings,cage debris Spray neem water on the droppings,dropped food etc.Wait for 5 minutes till it softens.Scrape it off using a plastic or iron thin square scraper.Wipe it off with tissue paper or damp newspaper cut in squares.Dig a little pit in the back yard. 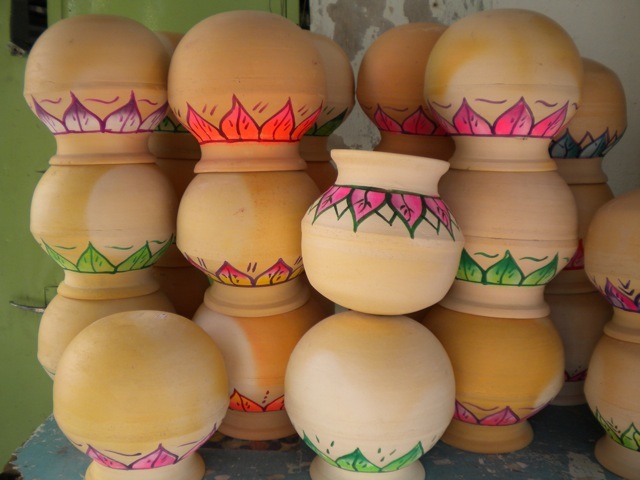 Collect the mud in a covered bucket.Throw the debris with a plastic shovel and cover it with a layer of mud.This will help keep the environment clean.The waste will act as soil manure.Clean bird feeders using chalk powder which comes very cheap in market instead of detergents. 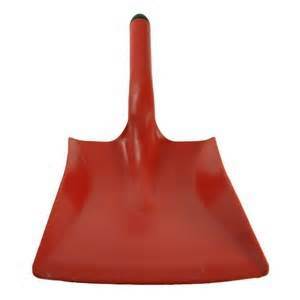 Plastic shovel for clearing bird waste. 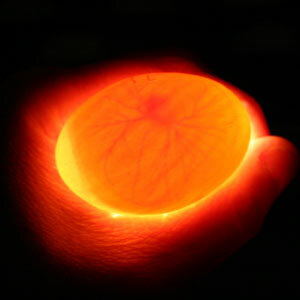 Fertile candled egg.In a dark room,pick the eggs while wearing polythene gloves.Put a torch light to see the egg. Use soft mattress to avoid the eggs from cracking if it slips off your hands.You can see veins with blood and might also see movement if the egg is matured.Discard infertile eggs. 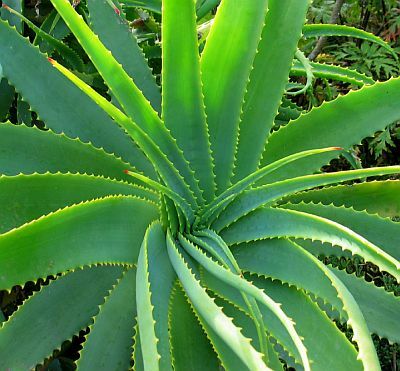 Aloe vera(Ghrit Kumari) gel also help in bringing relief to skin irritation.Plant Aloe vera in a pot in your house.The fresh leaves will be of multiple usage. 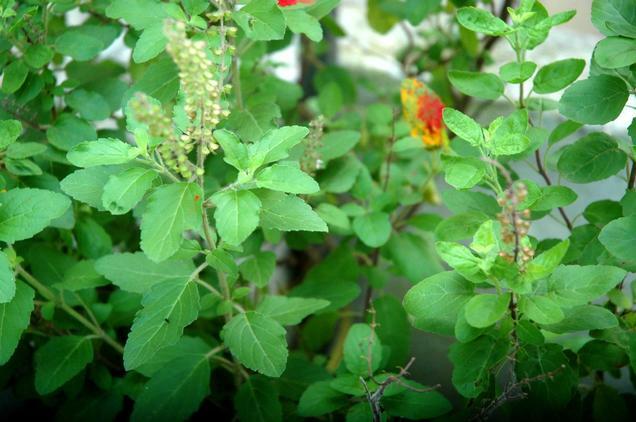 Sprinkle dried Tulsi leaves(Holy Basil) in the birds diet.Every Indian home has a Tulsi plant.Tulsi plant,picture below. Apply Haldi(Turmeric) if the bird is injured.Buy a piece of haldi and then grind it.Do not use Haldi powder from the market. 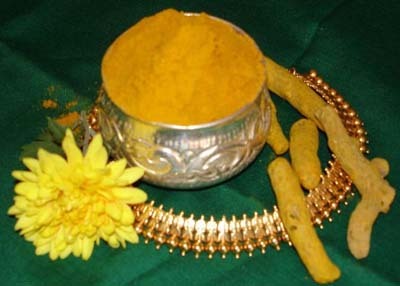 Haldi acts as a disinfectant.You can also use wheat flour to avoid bleeding. Neem sticks used as a perch avoids mites and insects. 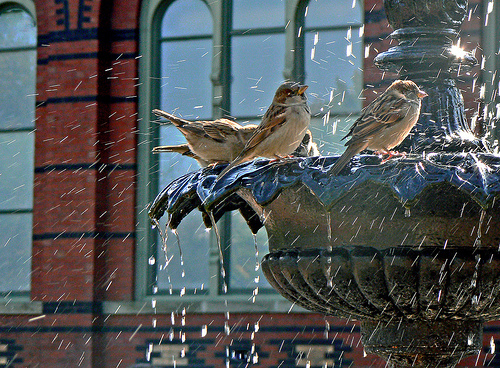 After a neem bath,you can dry your sick bird with a blow dryer placed far from the bird.Place your other hand near the bird and feel the heat of the blow dryer.If it is mild then you can blow dry for few minutes after a Neem bath.The bird will not need further help and with soon dry itself and chirp happily.”Do this in-case it’s too cold or the bird refuses to preen itself.” NEEM IS BEST FOR AVIAN FLU.YOU CAN ALSO USE CINNAMON (DAALCHINI) POWDER MIXED WITH HONEY FOR FLU. 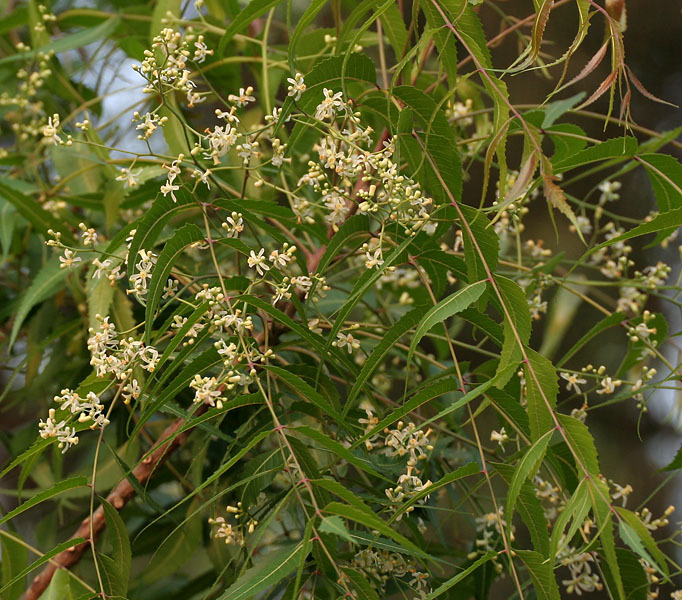 Neem is the most powerful Ayurveda herb and is called holy because of the high healing energy.Bird owners should also drink boiled Neem water once a week to avoid AVIAN fLU. The wild bird treats itself with the herbs in the forest when sick.Do not deny the bird the natural treatments.Try planting herbs near your house and in pots.Place fresh water and feed for wild birds as part of your religion. Grow wheat grass,sava grass,maize grass, lemongrass,thyme,spinach,holy basil,Neem,cherry tree and money plant in pots.Let the birds feed on them.The birds will learn to live independently in the wild too. 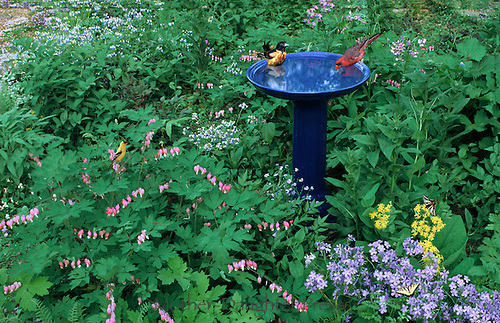 My beautiful flower garden that feeds the red whiskered Bulbuls flower sap. Use boiled and cooled water in case of eye infections in birds. Homemade rose water(Gulab Jal) is also very effective in dealing with eye infections. 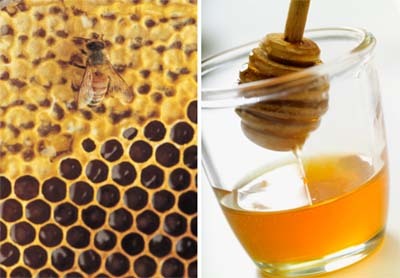 Honey(Madhu) is a disinfectant that should be a part of birds diet. Ginger(Adrak) juice added to the bird drinking water at night prevents loose motion when they are sick.Mix some yellow turmeric powder(haldi) in the yogurt. This should help with the Motion sickness. Lahsoon (Garlic)Has anti-oxidant properties as well as anti-parasitic properties which kills intestinal parasites. Protects the liver from the damage of chemical pollutants in the air and in food and water supply. 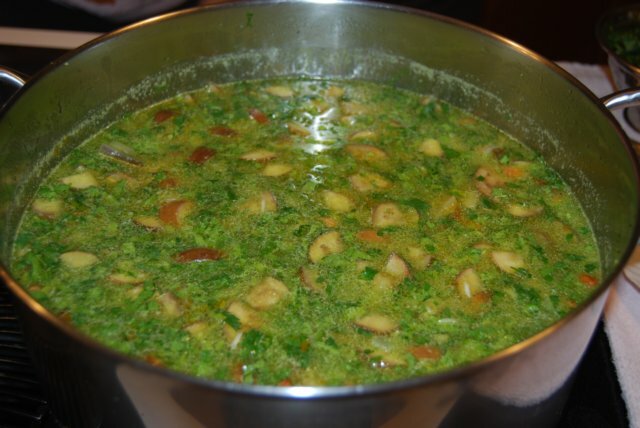 In Ayurveda, garlic juice is as strong as the antifungal drugs, Amphotericin and Nystatin, against Candida, a fungal problem sometimes found in parrots. Should be used sparingly and in the form of fresh garlic, not the concentrated garlic powder. Garlic belongs to a family of plants that may cause anemia in animals and birds if given for long periods of time. 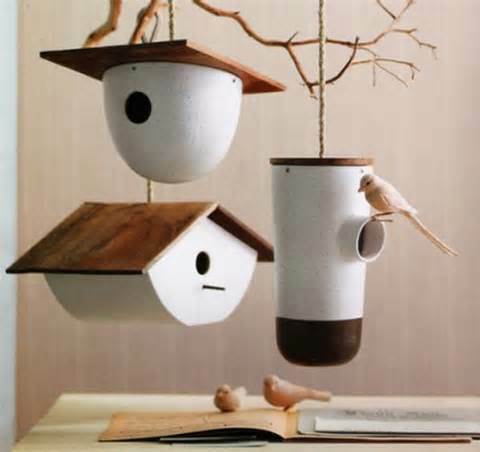 Place dried Neem leaves at the base of the nest before layering it with soft cotton and white new cotton bandage layer.Give dry Neem twigs as nest material to your birds.The nest will be safe from insects and mites. In the world take always the position of the giver. Give everything and look for no return. Give love, give help, give service, give any little thing you can, but keep out barter. Make no conditions and none will be imposed. Let us give out of our own bounty, just as God gives to us—-Swami Vivekananda Egg Binding:Boiled eggs,Egg shells,Ginger Juice in drinking water,warm cage and lighted bulb to keep the bird warm and water melon juice every 3 hours. Vomiting–Water melon fresh juice.Watermelons pulp juice are in nature an excellent source of vitamins A, C, and B6. They are also a great source of potassium, and extremely low in sodium.The juice is best for sick birds.It eliminates toxins. 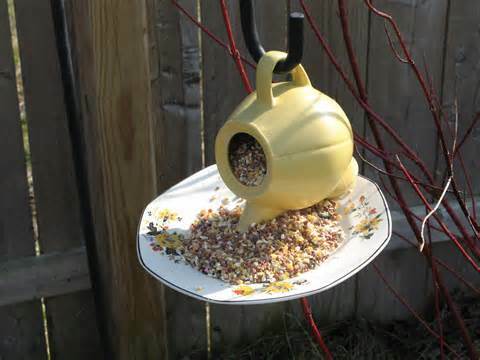 Avoid giving your bird feeds which has artificial colour. Pregnancy in birds.Never touch a pregnant bird.Give her a good clean cage,enough movement so that she can go in out of the cage,Variety in nutrition,fresh water and cosy nest. Do not keep your birds lonely for long.They may peck on their finger which results in bleeding of the feet.The feet may start growing black and fall off. My bird is very sick and she is sitting on the floor.What do I do.Treatment below. a.Clean the cage,put the cage in fresh air,give her fresh feed,fresh water,egg shells and boiled eggs even if she declines to eat them. b.Boil 20 leaves of tulsi(holy basil) in water till only 2 spoons of water is left in the pan.Allow it to cool at room temperature.Take a syringe(THROW AWAY THE NEEDLE).Make the bird drink the Tulsi water every 4 hours.Do not make them over drink.A drop is enough.Do not give her anything refrigerated. c.The bird is not eating anything.You have to give her energy.Make her drink water melon juice every 3 hours with syringe(without needles).Do not feed her excess of water melon juice. d.In the night,put a lighted bulb on her cage to keep her warm for 1 hour.Do not forget to give her juice.The bulb can cause dehydration. e.Change water and feed frequently.A sick bird will feed on calcium diet. The bird will recover 100% even if she had something poisonous. 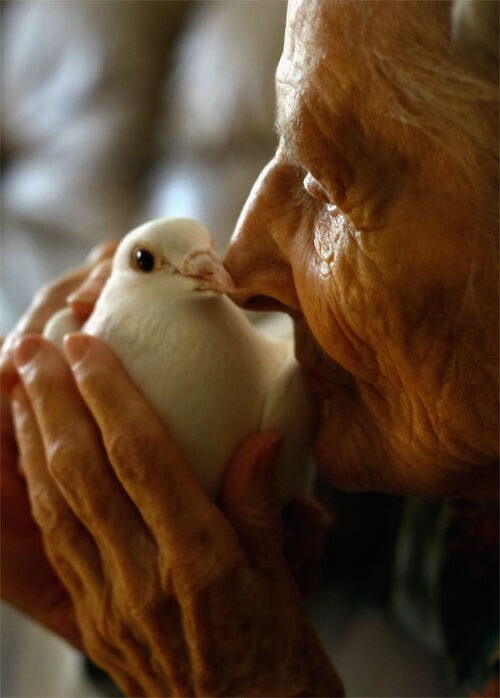 21.Never panic when birds are sick.You will harm them more with your nervousness.Your love and cosy treatment is enough to help them recover.In nervous state people over do things which is harmful. First Aid Kit Infrared lamp and heating pad,Eye dropper,Clean syringe without needles,Towel,clean ear buds to apply oil,powder etc,flour this is really the only thing you may need to use to stop bleeding, for example if you hit a vein while clipping toenails,Cotton balls and swabs,Avian nail clippers,Scissors,Roll of gauze,Gauze squares,Flashlight,Aloe vera plant,holy basil plant(Tulsi),Dried neem leaves and twig,whole turmeric,Distilled water as eye drop,Surgical Tape,Hospital cage and Home made incubator if possible. Keep 4 sets of thin sponge mattress with thick cotton cover fitting the size of the cage.These mattress can easily be changed and washed. It keeps the cage dry.Always keep the cage door open for the bird to fly in and out.Place potted plants/different types of grass in pots near the cage.My birds always feed on fresh millet/wheat grass that I grow.Birds love Money plants.They love hanging on it. 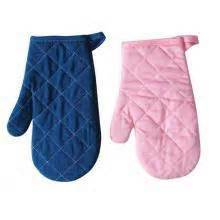 Handle the bird with love and care as if she was your own delicate body.Wear sponge/woolen gloves in one hand when curing African parrots with pointed beak. Check the bird if she is injured.Pick the bird.Cover yourself with a very thin cotton bed-sheet and tuck it around yourself Place the torch far away from the bird so that the direct light don’t affect her.You can apply the ayurvedic medicine gently.Once done,put her back to her nest. These days fire-proof mesh netting fabric is available that can stick to your windows.They are almost invisible and washable.This gives freedom of movement to the birds and protects them for flying in the cat’s mouth. 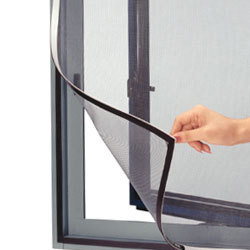 Washable,fireproof Insect screen for your windows.Stick Velcro using fevicol or quick fix on the edge of the window.Get the tailor to take size of the window and stitch the other side of velcro as border. 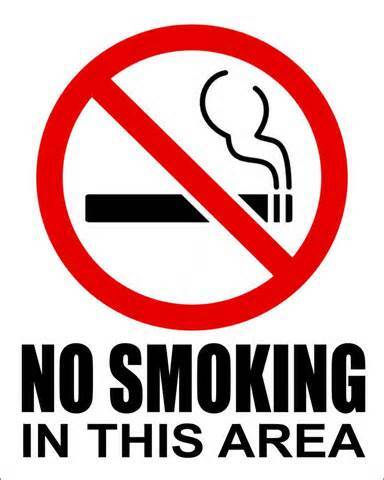 Do not use ant powder,cockroach spray,chemical floor cleaners,dettol,cetrimide,eucalyptus oil near the birds. Mosquito net for birds made up of net material or heat proof fibre glass or transparent cloth helps protect the birds from mosquitoes and other insects.Mosquito bites lead to wart formation in birds.You can also use these as hospital cage when the birds are sick.It can be washed and need less storage space.You can put a wooden sitting stand inside it.This is my little innovation for small birds. Make the healthy bird drink a drop of Neem water once a month.She will always stay fit and her blood will remain pure.Birds feed on Neem leaf and the bark of the Neem stick. NEEM is the best cure against throat red mites which causes death of the birds all over the world. To avoid ants place the fruits on a marble stand in a tray of water. In ancient times, around 250 gms of salt or sand was heated and placed in a double folded cotton sack.It worked as a heating pad.More cotton cloth was placed on top to adjust the heat.This was used for curing sick birds and animals.These days baby hot water bags are available in India which can be used as heating pad with layers of cotton to adjust heat and free space for movement if the heat is not bearable.Heat cause dehydration,place water and feed. A combination of different types of grains are available in all local stores.All plants and trees are holy.Every plant,trees and grasses have medicinal value but Tulsi(Holy Basil) and Neem is an part of Hindu homes because they cure most ailments. Soaked pulses(daal of different variety) or boiled pulses are good source of proteins.They should be crushed using clean/washed mortar before serving it to tiny birds.Soup style kichri or Khichdi of soaked daal and soaked brown rice boiled in water is very healthy.You may also add few crushed leaves of spinach,holy basil,few wheat grass,soaked black chana,soaked moong and some lettuce.Do not add salt. Soup style khichdi for birds.The birds love drinking the soup. 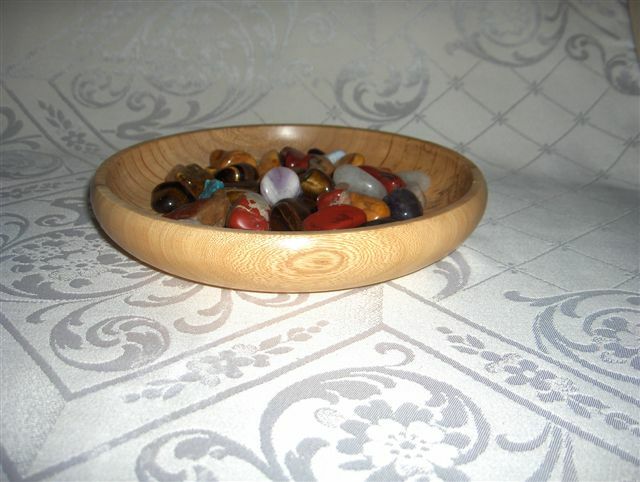 Semi precious stones should be kept in the house to absorb negative energies.It should be cleaned by placing it in water in full sunlight or moon light for 12 hour once in 15 days.Healing energies of crystals have been a very ancient discovery in India. In ancient time healers never took money for healing because all the healing knowledge came from meditation.Taking money for healing adds extremely negative karma.I would like to follow the ancient Vedic trend.Wisdom of farming is a gift by the civilized mind and everyone must do a bit of farming to protect these beautiful creation called the “Birds”. Universal Oneness:The Universe is my body.All minds are mine.With all feet I walk.Through all mouths I speak.In everybody I reside. Self assembly very few parts, all screws and wood is pre cut, fits together well and I can manage so must be easy !! 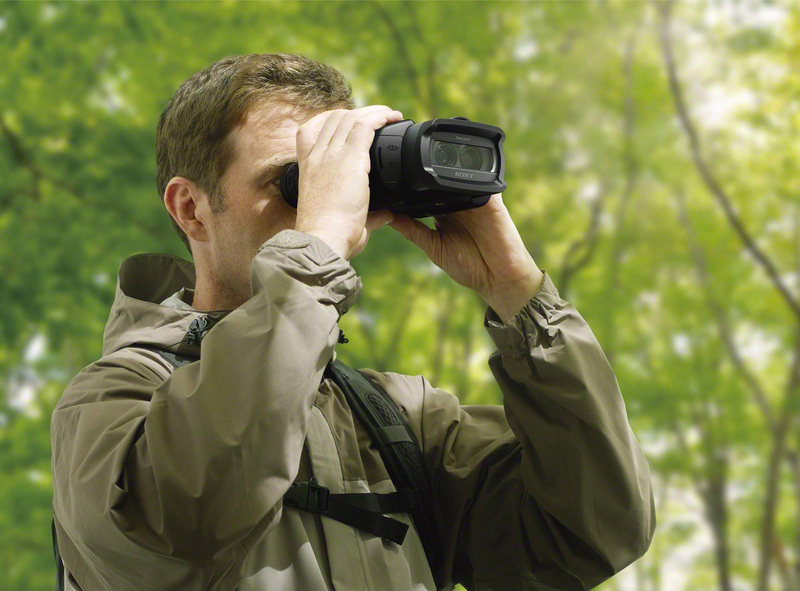 Sony Digital binocular for bird watching and recording. I liked your article about ayurveda for birds. As I am an ayurvedic practioner too,I am very keen about treating every living being with the help of our ancient Indian science “Ayurveda”. 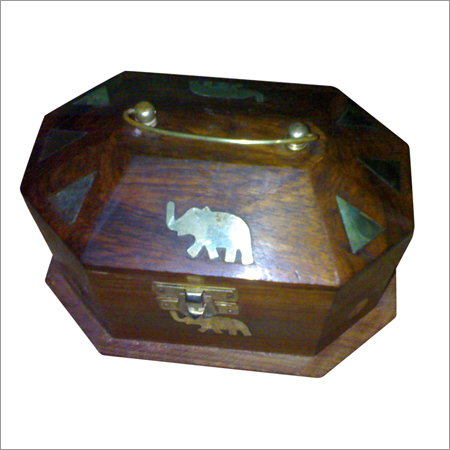 I would like to get some more details about ayurveda for birds & animals. I am looking forward to your next article on this topic soon. Thanks for your response.I will complete the article soon.You can also communicate with me directly on channel.I appreciate your good work. how much Ginger(Adrak) juice should be added to the birds water at night prevents loose motion when they are sick. 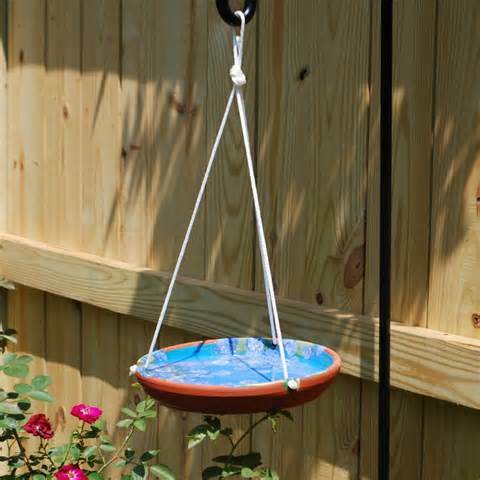 Hi from where I can buy a Clay bird feeder .Please give me the details. You can now see the updated blog. what to do ?? my budgie is bobbing its tail from two months, but it wasn’t severe so i did not report to the vet, and by the way in my locality there is good avian vet. she and the other female also have a blocked nose..
pls let me know about a good aryuvedic treatment which can be done at home itself. hiiiii, i read this article my bird is sick yesterday with these information my bird is happy now and im also very happy thank u for giving such an good advice…. I am glad that this article helped your bird. The blog has been updated.Please take a look for more informations. wear gloves in one hand,hold his stomach and with the other hand pick up the bird gently.Check what is wrong.Do the necessary medication.Put him under a lamp.Make sure the heat is not too much and there is enough space for the bird to move away if the heat is too much. Also place food and water.The bird will drink water frequently because the heat will cause dehydration.Sprinkle dried tulsi leaves in the bird food.I am not very sure about crosin syrup.I have heard there are antibiotics available for the bird to stop infection but that is available in the form of bird dose.Never use detol or cetrimide etc on the birds wound.It will decay its feet. Few drop of ginger juice in drinking water will be fine.Do not feed them seeds that are colored.Also give them one slice of boiled egg with the yoke and the white part.Keep the cage clean.Drinking water should always be fresh.Fruits like papaya,grapes,orange….boiled rice,boiled pulses etc will be healthy.Soak the seed prior to boiling.It takes few min to boil them in a little container.Soup style khichree is very healthy.Do not use salt. finches eat sand for grinding. I am very thankful to read your articles & comments. My beloved parrot have become bald(plucked all his feathers). I made an allopathic treatment but all became in vain. Still he is bald and Dr. says he have fungal infections. He gave anti fungal tabs, but no recovery made. I am very anxioys. Pl. help.God will bless you. I am a bird lover and I have 2 male budgies and one baby female budgies which I recently brought from Sharjah bird market. All these budgies are free from cage, they are our loving pets and I gave full freedom inside the home, they are very friendly with me and my family. My question is that the female budgie’s dropping is wet (loose motion) and most of the time she bend her neck backward and sleeping and shaking her tail frequently, having very little food, but other male budgies use to feed her. and she feel little better now, but from today onward one of the male budgie also started same illness like her. Kindly tell me what kind of illness is this? and what is the medicine you recommend for this illness? Thanks and awaiting for your early replay. i have an african grey, 5 to 6 months old. 4 weeks back we noticed a would on his chest. on taking him to the vet, he was injected and medicated. two weeks back he jumped from his cage and it started bleeding again. the vet stiched him up this time. yesterday he once again jumped down from his perch and started bleeding. he is active, eats well, plays, whistle’s etc. i need your advice on how can his would heal at the earliest. Thank You for your encouragement and kind words.Love to Canada from India. Maybe you should change the webpage subject title Ayurvedic herbal home treatment of sick birds zebra finch,parrots budgies etc Hinduismglance's Blog to something more specific for your webpage you write. I liked the blog post even sononetheless. Sir, i am staying at Kharghar navi mumbai. I have just started breeding budgies. 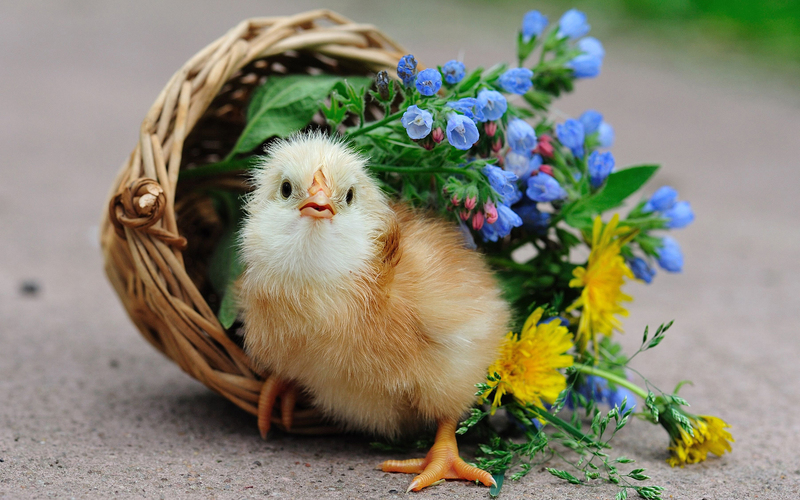 I have 3 chicks of 2-3 weeks old. Today while cleaning the breeding box i found lots of tiny insects at the basement along with their hard droppings.I was really worried but after reading ur article, i hope will be able to eradicate them successfully. Pl. do give me some easy tips for prevention..
Dear Sir,i have an indian child bird parrot he didn’t eat anything he is quite siting wl u plz tel me what to do…? a.Clean the cage,put the cage in fresh air,give her fresh feed,fresh water,egg shells and boiled eggs even if she declines to eat them. b.Boil 20 leaves of tulsi(holy basil) in water till only 2 spoons of water is left in the pan.Allow it to cool at room temperature.Take a syringe(THROW AWAY THE NEEDLE).Make the bird drink the Tulsi water every 4 hours.Do not make them over drink.A drop is enough.Do not give her anything refrigerated. c.The bird is not eating anything.You have to give her energy.Make her drink water melon juice every 3 hours with syringe(without needles).Do not feed her excess of water melon juice. d.In the night,put a lighted bulb on her cage to keep her warm for 1 hour.Do not forget to give her juice.The bulb can cause dehydration. 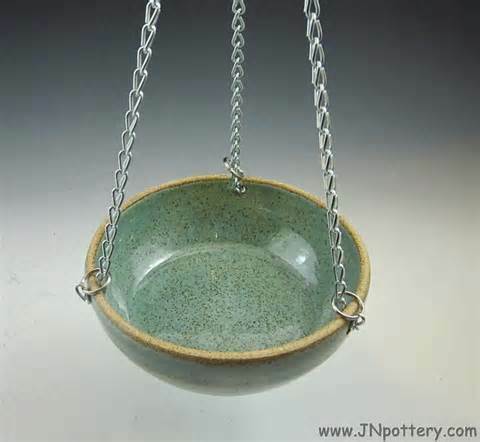 e.Change water and feed frequently.A sick bird will feed only on egg shells for calcium. The bird will recover 100% even if she had something poisonous. Your article is interesting. In fact , i was interested my bird treatment in a heathy way.I hope to have some remedy for egg binding,as my bird has laid egg for first time on 15t march & another today .Mine is indian neck ring & i am concerned about her health.Ifeed curd ,paneer occasinaly,for calcium supplement .Iheard peanut causes liver problem.How to remedy this situation.I give palak,anaar,grape,banana,sweet pea,gur,rice grain,kharbuja seed wich they love.What to do with laid egg?she loves to sit on it.How garlic is o be served .Your information about neem leve for mite seem good to try.How &when to give bath as now i am not sure whether she will lay more egg.i worry about her.Please let me kow soon as what treatment is possible for eeg binding situation. The feeding habits of your bird is good.Do not give garlic unnecessarily,it can be bad for the bird.The bird takes bath on its own if given the right environment.You do not need to give bath.Give them a good bathing tub that fits well.The birds are matured so do not fuss with the eggs.They have been programmed to take care of it.Give them tulsi juice from time to time. 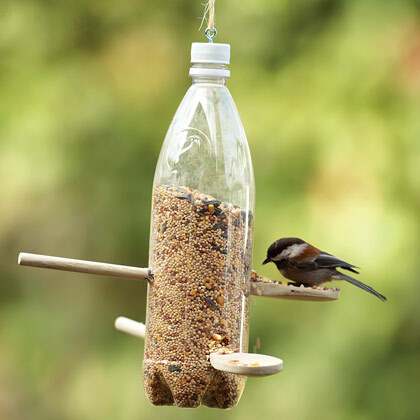 Take plastic jars that come with tea,toffees etc.cover it with thick colored polythene.Make round holes using scissors for birds to enter.Hang it using iron wire.Cut iron wire with iron jaw. i liked your article very much.i thik i have mites in the lungs and trachea of my finches. i tried ivermectin but with no result.one of y birds died few days ago.please tell me how i should cure my finches.Also kindly tell me what plants should be used as herbal salads for my finches. 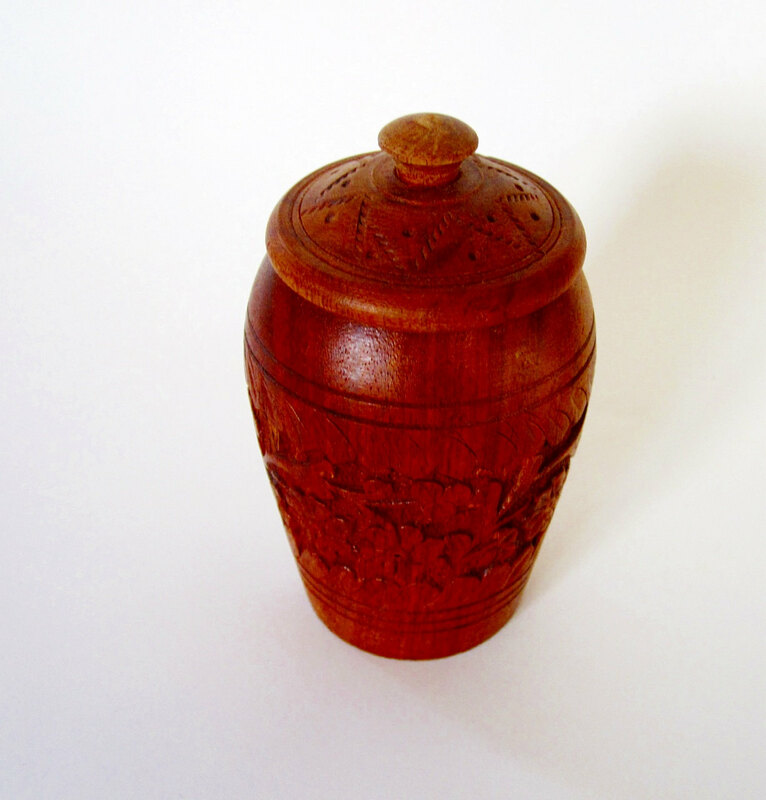 ivermectin is a very dangerous medicines for bird…Neem twigs and dries neem leaves are better than ivermectin. i found your article very interesting.kindly tell me how i should cure the intestinal bacterial and protozoal diseases of my finches.someimes i see my birds sleeping in the day time bending their face and beak in the feathers.is it normal?sometimes i see that my finches make cleaking sounds at night.is it a symptom of tracheal mites or some other infection.kindly tell me how to cure it. A drop of neem water is the cure.Watch the video and video description that I have provided above on youtube. 1. Any Medicine Available for parrot Fever OR Avian Flu in Ayurveda. Kindly help me with the solution. 2. Also I need to know the Ayurveda remedy for Wing paralysis and Leg paralysis as after effect of Salmonella. Neem is the cure for avian flu.kindly follow the instructions. Ashwagandha commonly known as Winter Cherry is used to cure paralysis. Bala known as Country Mallow is also considered as an effective herb for the treatment of paralysis. 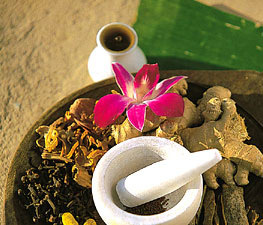 Apart from this, special therapies and other types of treatments are used to cure paralysis in Ayurveda. I will later post how it can be used. hi i have a blue ring pet bird but these days he is feeling sick n m really worried about him.he mostly sits by bending his neck backward and hiding beneath his feathers.the second thing is he is having a problem of loose motions and the color or his motions is brown these days.the third thing he is being sleepy whole day and do not talk.please tell me what to do as soon as possible.i want a home remedy or a herbal treatment for this . f.Avoid cleaning rooms with disinfectants but boil neem leaf in water and then add it to the cleaning water for room cleaning. My Alexandrian parrot has been sick with the above-mentioned last condition of losing balance while sitting or walking since 5 days. I will certainly treat it with above recommendations. I hope it recovers. Although it does take short flights but once it comes down it loses balance. Pls update with anything more. Thank you. I have a 2 pairs of Zebra Finches. Off late I have seen one of them loosing feathers and turning bald. I keep them absolutely clean (water is changed every few hours and immediately in case they have droppings, same with the food), bath every 2-3 days, have been giving them spinach / coriander every 3rd day. The cage is cleaned twice a day. Unsure if there is some infection. Could you please help? They are suffering from mite infection which is dangerous.Spray neem water with plastic hair sprayer.Boil neem leaves,cool it and then drain off the leaves.Pour in the sprayer and spray on the bird.Let them dry.After they are dry,take fresh Aleo vera leaf ,scoop out the jelly from the leaf and apply a drop on the scalp.The perch should be thick neem twig and the nest should contain dry neem leaves.The bird will feed on neem leaves and dried neem twig on its own.Mites are dangerous for you too.Clean the house with water and some neem juice instead of chemicals.You should also drink neem water. 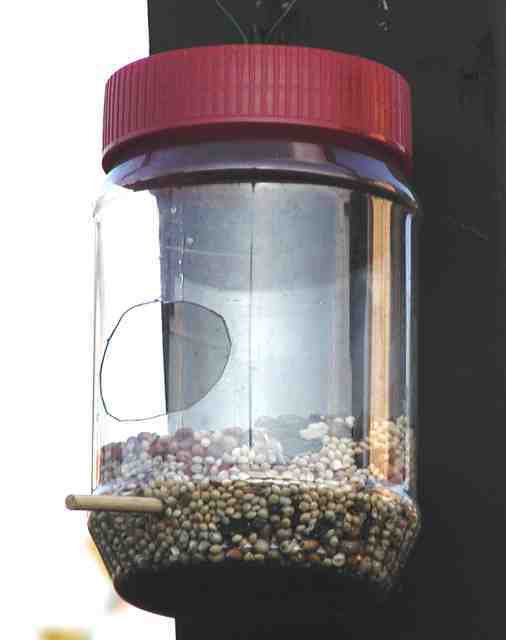 Also feed a drop of neem water to the bird with a syringe after throwing away the needle. I liked your article. Can you use tea tree oil for dry feet on finches instead of neem, or are you supposed to use both? Yes,you can use tea tree oil but you should keep in mind that the oil is slippery and the bird will break its feet if she slips.So dust the feet with turmeric powder or wheat flower after oil application.use clean ear bud to apply oil. You can use rosewater to clean the birds eye.put a drop of rose water using brand new plastic dropper.Clean the eyes 4 -6 times depending on the severity of the infection. Also distilled water will help.Buy rose water from a good company. my English is not good.i say my problem in urdo. I have a Alexandrine Parrot 5 months old, he is sneezing dry from past 15+ days, we have taken him to Vet but still there is no improvement. We have taken Xrays of his lung and Vet said he has cold his right lung is full. The Vet had given injection and tablet but still there is no improvement. Currently we give him Corn, Tamotos, Parrot Seeds to eat. Please suggest what should i do so my recovers soon. You have to use a lamp at safe distance,along with feed and water…also space for movement…warmth is needed.Boil some holy basil and a speck of grated ginger(one papery slice), in water so that maximum juice gets mixed with water,cool it feed the bird a drop after ever 3 hours.Also watch the video attached to this blog.Heating pad can also make the bird comfortable.Give water which is at room temperature and keep the bird indoor. Thanks for your reply, but it is too late my parrot has died last week on 25th. I thought the author has written right at the beginning that she is a female professional. Why is that most comments are for a Sir? Do Indian fail to acknowledge that women can give great advice as well? I say this because as a consultant on a forum, I also get addressed as Sir. Or are Indians just gender insensitive (skewed towards women)? Anyaways, I like to read your blog as I have budgies….the chirpiest of my 3 budgies has become dull after a dip in a lice killing solution…I hope it does not die. Its unusually quiet and is perching forward, like it going to fall off – I have seen them do this when they are very sick. 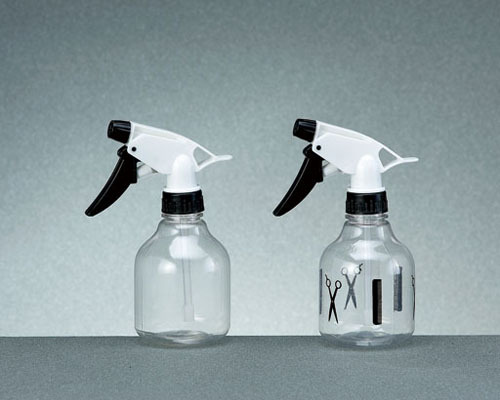 lice killing solution…Does that mean white vinegar and water or some other chemical.Was it prescribed by a vet?If yes what was it? PLEASE READ FULL ARTICLE ALONG WITH THE QUESTION AND ANSWER AND ALSO WATCH VIDEO.IF YOUR QUESTION IS NOT ANSWERED THEN YOU ARE FREE TO ASK. hi, i have a starling that i raised from an egg , Harris is now 1yr. all of a sudden he is plucking the feathers from his legs only. The vet gave me creams to apply, and an anti parasidic drug. nothing is working. He is eating well and seem healthy . can you suggest anything. Yes,boil neem leaves in water after washing them till the water becomes half.Cool it and strain the water.Spray neem water on your bird with plastic hair spray and let the bird dry.Also feed a drop of the neem juice once a week with plastic syringe without needles. 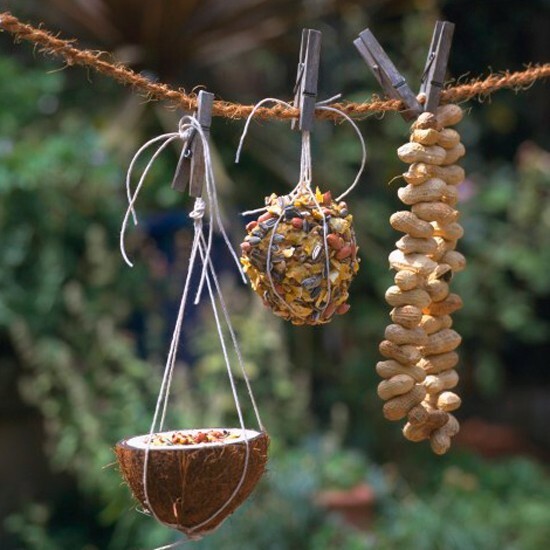 Or leave some neem twig and dried leaves in the cage for the bird to chew.Neem is the best anti-parasitic herb. My 2 months parrot have Loose motion and he is become week there is any medicine plzz help?? Ginger juice -1 drop in the night.Also give water melon juice every 3 hours with a plastic dropper. 2-3 drops of juice would be fine depending on the size of the bird.If the bird is getting weak each day,you should hand feed juice in order to give her strength to cope up with her disease. Mouth when she vomits.she bobs her head front and back before she throws out…this was very frequent for the forst month…after approaching my breeder she passed me doxycyclin(broad spectrum anti-biotic) it became better with close observation.is there any herbal remedy to cure this…i suspect she is having bacterial or yeast infection. Tulsi (holy basil) leaves cleaned and boiled in water.Add few drops to water melon juice and feed the bird with a plastic clean dropper.Tulsi leaves should be a part of birds regular diet .Also use neem tree bark as perch so that the bird bites it when sick. Thanks for the post. It is really very useful. I have recently got a cockateil. It was doing fine till yesterday. But since today morning it is not eating properly. Also not been very active since morning. I have also noticed that his left eye has become red. Is there any infection? Is there any possibility of the infection spreading to humans. I have a kid at home. Please let me know what kind of treatment should be provided to him. Dear Sanghamitra,Clean eyes with distilled water with clean plastic dropper.Please read full post and watch the video.You will get the desired answer. Ginger juice in honey is also a good option. I can recommend rose water for eye cleaning but market rose water has alcoholic rose perfume in it so it becomes dangerous. Hi…I observed mites in feathers of my Budgie birds…please suggest how to terminate them. I have a green Indian parrot….she’s been with me for the 13 years.she has always been healthy and very attached to me .she is more like a dog or a cat. I also have a problem…..I have been getting these rashes on my arms and legs since I have had her …..the doctors say its bird mite……I always thought it was heat rash….I always get them when the humid weather starts. Please tell me what to use as the rashes I have this year are bad. I am in Pakistan so I have most of the herbs found in India. Bring neem leaves,wash it with clan water,boil it till the water becomes half and then cool it.You can store it in refrigerator.Drink one cup early morning.When the rashes disappear then stop drinking it.Within 3 days you will be fine.It has no side effect but will clean you up internally.Neem tablets are also available in the market. 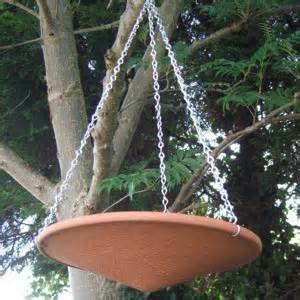 Wash the neem leaves with clean water. I also faced similar problems with my birds. hello! i had read this article before;for bird liver problem i used to give ayurvedic liver tonic since she has sweet tooth & she likes them but the male is rather hesistant to taste it;then i had purchased a bundle of fresh shoe flannel material to put inside the cage & get them washed everyday ;it is soft on feet & protects the parrot in winter;i cover the cage partially & keep them close by my bedside;i keep a watch on their activity;they love to talk & admire themselves on dressing table mirror;i gave the neem bath a try ;it helped ;now i am having conjuntivitis problem & am taking treatment ;i suspect some health problem in bothof my parrot in spite of giving good diet seem fluffed up & may be stressed out too though they fly freely in my room for 4-7 hours& get into cage on their own when i am ready to sleep’;i love them for their companionship;i indulge my parrot whenever necessary with peanut,coke at times,chip,icecream,gulab jamun,almond ,biscuit& ladoos;they are games for it;my female parrot loves to play for hours on soft cloth;earlier i made paper ball to keep her occupied & clean marble stone ,watch tv or sit on my laptop or cane stick used to chase away predators;i give their leftover food of american corn ,chapattis,dal,fruits at the backyard to feed other birds;i set up a whitewash stand at the back & placed 2 bowl of fresh water everyday along with bird feed grain & plenty of biscuit;all birds love biscuit very much so i have dedicated myself to give some company to my parrot when tied outside at highlevel for 1=2 hours ;then placed an empty coconut shell of water on ground;birds come & have bath when they please & sit on trees for hours;a family of different birds activities are interesting to watch in the backyard;i put on music for my bird ;the male tries to speak out few words on hearing music which seem a little enthusiastic ; i also set up perches of lemon tree,eucalyptus,neem tree for them to fly & sit on meshed door & windows of my bedroom;that’s my life with parrots;other parrot do come & see them;but i worry about the safety of my parrot,their food & shelter& whether they are capable of looking after themselve is a big question in my mind;i saw bird sanctuary & thought of freeing them but realise the parrot may fight or may get traped by malis who could sell them;dont know what will happen in future;that’s all for now;i want to know how long you kept parrot as you seem knowledgeable;my female parrot refuses to be friendly with male parrot & pull his tail or attack him;he is gentle ;any solution? Do not keep the birds by your bed side.The feathers will affect your eyes and fresh air in the room is a must.You should drink neem water daily for one week to avoid bird flu.How did you come to know that they have a liver problem?Who suggested the syrup and what is the name of the syrup?What I find from your message is that you are a very loving and kind person.While finding a partner for the bird,one should choose the bird which seems very friendly to each other.Generally we choose by the look of the bird.I had zebra finch and parrots for a long time.Then I trained them to live in the wild and they have given birth to babies which are all around my house.But I won’t advise that to everyone. The bird once trained to live in the wild can live happily.Please do not worry.Yes,I used to put feeds around and people used to inform me about their whereabouts.One day I saw their babies,with the same unique color which was rare.I was very happy. Eucalyptus tree is poisonous for bot birds and humans if it is eaten or the oil is swallowed. 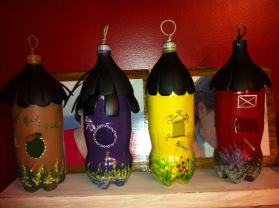 I have updated this article specially for you.Since you are a creative loving person,you will like the pictures of wild bird homes,feeders that you can make, using stuffs which are available and of-course create a much better one.Just give a quick scroll to this article once again.Keep the feeders mounted high using iron wire with sun shade and also the house must be hung,Just take a quick look at the pictures in the article above. You can do one thing which I have done.Put feed/ water daily.Also put a pot in your backyard.The birds will come.Infact I have a set of wild birds to look after now along with their baby which was born in my house garden.The baby is sleeping in my house right now as the parents trust me.I have put the baby in a basket and covered it with a thin dupatta so that mosquito don’t bite them.In the morning,parents will come and feed them.I don’t have to do anything,Their last baby suffered from mosquito bites and that led to wart.It survived because of neem water.This time I am not letting the babies sleep in the nest with mosquitoes. 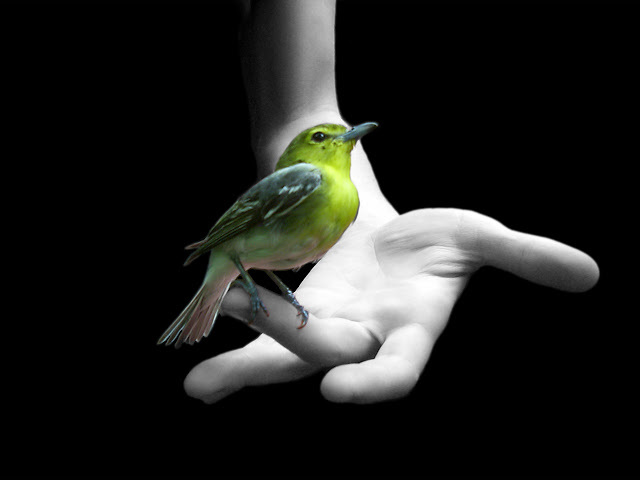 Since you are a bird lover,birds will always be attracted to you.Very soon,you will have to take care of wild birds. God will take care of your birds knowing your good intentions. When i see my bird after a week ,does she miss me;i have always felt her affection for me ;i also wonder whether she is feeling the same as me as i became surprise to see her one day at some place as the parakeet caught my eye in sunlight looking at me & doing things like familiar body movement i spoke to her also then left;that made me cheer up;i felt she must have sense my restlessness to see her so she must come ;She must have also liked me as much as i like her;Her behaviou was such that if i showed any preference to male or male showing indifference she would chase him away to show him his place even if i dont say anything much to him or her for that is how i observed carefully over the years & understood her;May god bless her & keep both happy!Your understanding is all that matters to me;thank u! DO my parrot wants to come back in cage?they visit once in a week on neem tree eating neem fruits but with dangerous prey bird coming regularly & sitting on my tree & chasing small birds ,i start worrying about my parrot coming there occasionally;i had to warn them by loud clap & the parrot fly away to some place;i find prey bird family coming in group of 4-5 with very long bend beak ;about 5-6 inches;sometime eagle;it is bothersome;And safety of birds bothers me;I had to keep food at ground level park as the cat climb the wall & hide behind the tree in my house ;So the parrot hasnt come down on ground level;i’m doubtful whether they see food below tree kept on ground level of park;The grain bottle feeder is also tied to some branches & tree trunk but corn kernel has been used well under tree shade ;Now i’m feeling concerned about wild bird ,squirrel safety as i do not know why ugly bird of prey come in front of my house often;they are fast flier too;i do not have a solution for this;I wish god help me to find solution to my problem;they are becoming bothersome bird of prey;i worry about parrots & rest of the darling birds too;i hate to see them harmed but feel helpless * & bothered too;i’m doing the best i can but wish tht i chase prey bird away ;Any solution? 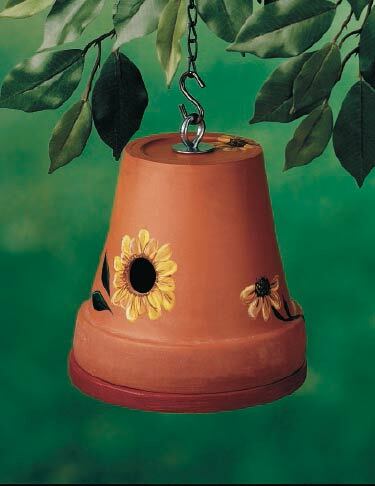 The feeder must have a plastic plate on the top as cover.It becomes difficult for predators to attack.The hole in the plastic plate can be done by any iron smith.Tie a clay pot on the tree with iron wire.Rotate the iron wire round the neck of the pot.Attach 3 to 4 wires to the ring and then move it backwards to fix it to the tree.Put a plastic chair or table in shades area,put your open cage on it.Tie the cage strongly to the chair or table so that a cat attacking can not bring the cage down nor have enough space to sit on the table or chair to attack.Put feed and water in the cage.When you make homes out of pepsi/coke bottle or big jars,put a bigger shade on the top.This will secure the bird house.Plant some flower trees around the neem tree.Predators needs space to glide and attack.This way you can save your birds.My experience is birds do come back if they do not find the other environment suitable.I prefer birds who enjoy both environments.They come back to have food,water,medical treatments and sleeping and enjoy the day outside. Thanks for the idea regarding water bottle bird home ,bird feeder but i’m doubtful parrot will come to such low height of tying cage to the chair ;it could be risky as i used to tie their cage at a height of 3-4 feet above my head;i’m not sure if the parrots are interested in staying in cage;how do parrot adjust in rainy weather;do they ive openly or in some tree hole;then i have a sick pigeon who was moving around in terrace who was wet in rain but couldnt fly;it used hode under tank; Due to cat frequenting the terrace,i manage to get pigeon in the cage with the help of maid son who found it be dis oriented &loses bance sometime after rotating several times ;it takes feed of bajra,broken rice somepeanut,corni just placed a solution of mixture of aloevera &neem powder;dont know whether it drank but the newspaper was wet;what do you want me to do?should i give neem drops as i see some tilting movement of pigeon neck &moving round &round &then loses balance sometime;waer is placed on the cage with a pinch of neem powder;Any suggestion;how can i attract my parrot as crows & other birds are territorial regarding food kept out for them;Will the parrot ever come back as i see them once a week;i loke to see my parrot comfortable too but worry how it is possible for them to come in such rainy weather as they catches cold if they remain out;how do i help with my thoughts?would a wooden cage hanged up in place of cage help or both? I noticed that my parakeet is sneezing (more often then normal). There is nothing else visually wrong with him, (beside calling the vet) what exactly should I do for him? I don’t mind doing numerous things, so any and all advice would be greatly appreciated. The bird needs warmth,clean water which is changed frequently,, hygienic condition and a good diet.Oranges will give vitamin C.Water melon is a must.Keep the bird warm using heating pad but sufficient space to move in-case the heat is unbearable for her.Yes,you can contact your vet. Respected sir, i am from Pakistan and i really love your article. it was of a good help for me. i am a true birds and animals lover.i really appreciate all that knowledge which you had delivered in your article. i would love to have more information on this topic. further more, is there is any way to contact you instantly for any help? I truely respect you and would appreciate it. thank fou..
NOOR-UL-ARFEEN,what is mentioned above is just preventive measures because we do not have bird doctors in India at the moment.People really get panicky is such situations.You can contact me anytime on my youtube channel mentioned on the top of the article or send in the message here.Thanks for your support to birds and animals. Hope you will be fine. i want to know that my female finch was having fever, i gave her a drop of ibuprofen that night. and after that i gave her same syrup in water for that whole night. she was having loose.motions. i tried ur ginger and garlic advise. her motions are over now. but still she ia bit fluffy and lazy. what should i do? Should i mix boiled tulsi leaves water mixture in her drinking water? Make her drink water melon juice every 3 hours with syringe(without needles),just 2 drops.Do not feed her excess of water melon juice. Put a bulb above her nest to keep her warm.Leave space so that if heating is excess she can move.Place fresh feed and water for her.Make a sack of warm salt as mentioned in the article above.Place layer of even cotton cloth on it so that heat is bearable.Touch it and see if it just feels warm.Now this is risky,because some hands are trained but some ain’t. The bird can rest on it.Heat dehydrates the bird so make sure you give her water melon juice.Be extremely careful when you do this exercise.Do not give refrigerated juice. She should be fine within 2 hours and chirping.If you can add some tulsi juice in the water melon juice,it will be good. I have answered your question above. Hi, I have a sick canary, it sits at the bottom of the cage, it doesnt sing, its real weak at the legs, and recently it shakes all the time, the vet gave me some drops to put in his water, but nothing has helped, can you please tell me how to treat it and why does it shake all the time? Thank you. What I have written to NOOR-UL-ARFEEN is the answer to your question. Thank you doctor for your kind reply. i want to ask u some more things if u dont mind. what to do when birds are sneezing? Even i am providing them sufficient heat. could you please suggest any herb which works as an antibiotic ? One thing more, should we give charcoal to cockatiel ? Give her food with high source of vitamin A and not just only seed diet. 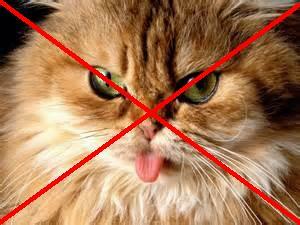 Neem will work.Check article above.Sometimes its very complicated so a vet is necessary. Is there is any way to find out that the infertile egg is because of a male bird or female bird? And any ayurveda for assuring fertility? Unfertilized eggs can be checked with torch.You can find it on the internet.When the bird don’t mate,then females can still lay eggs without the male. 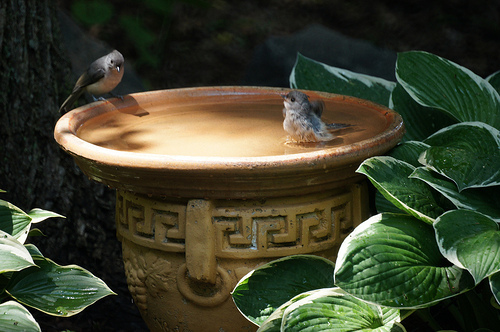 The right comfortable environment where birds are happy.Clean water,good diet,plenty of space for movements,nice spacious bird bath tub to keep themselves clean,good environment temperature and right cosy partner. I required birds Dr. in Navimumbai. Kindlty suggest. I have two budgies and i love them too much.I feed them carrots,pumpkins,peas,corn,cucumber,spinach,corriender,methi a bit,sweet lemon,oranges,apples, grape,little watermelon,tulsi,millet seeds but they love millet more.they will eat other veggies a bit not not as a whole meal.what should i do?Nowdays in summer and sudden climate change my male budgie is plucking his feathers and constantly scratching. I observed him and he has not at all mites i think he would be having skin itch due to summer …so as you said will neem water work on it and what else should i do? I loved your article. And my budgie is also very normal playing,eating , chirping etc Please kindly answer my question i am very worried about him. My cockatiel baby 4 weeks old is passing seeds in his droppings, what can i do to help ??? My cockatiel babies around 1 n half month old are passing seeds in their droppings, what can i do to help them ?? Hi doctor….i have a green ring neck parrot of about 2 month old….the problem with my parrot is that..
5)He has itching problem tooo…. And he is very sleepy …. 1)use ginger juice in the water as suggested in the article for the loose motion also use home made yogurt(Dahi) and mix some turmeric powder(haldi) in the yogurt. This should help with the Motion sickness. 2)Give foods high in vitamin A to fight the flu and also give some cinnamon(daalchini) powder mixed with honey. 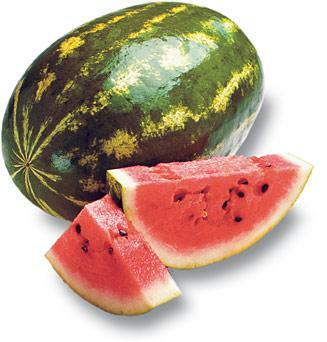 4) since the bird is not active feed him/her watermelon juice to give energy but don’t feed too much. You will need to get a syringe(used for injection) throw away the needle and put the above ones directly into the beak every 3-4 hours until the problem is solved. Yes,try the method mentioned above in the article. sir .i have a ring neck parrot.he s 10 yrs old..
i want to know the history of yr parrot , send me his pictures,and on what diet you are keeping yr parrot, what kind of cage you have offered to yr parrot and etc…..
Am in to parrots and lovebirds rescue….. HARIK. Click Ctrl F on your laptop .put the word feathers or any other word ,click the arrow pointed downward or upwards,you will get solution in the blog if you can’t read the entire article or in the comment section. Click Ctrl F on your laptop,put the word feathers or any other word ,click the arrow pointed downward or upwards,you will get solution in the blog if you can’t read the entire article or the comment section. u can even ask me for any help in curing birds & I’ll also need your help…..thank you and GOD BLESS your birds…..
Yes,the remedies are for all bird types. Sir, i had african lovebirds waat to do….for egg fertilization…they layed eggs..and incubate but eggs not hatched..
Do not worry.Those eggs are not fertilized.When time is right they will also produce babies. I like your articles soo much!!! can you please share the pictures of your birds & their cage & your garden too?!! please mam!!! I will share the pictures. I uses to keep zebra finch and budgie.I trained them to live in the wild and they now live in my garden in the open with no cage.The wild birds are friendly and live in pots. 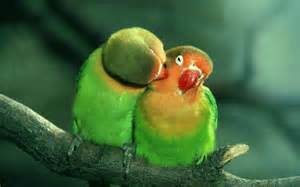 Hey any treatment of Bird Mites on Birds and Human. It seems me and my parakeets budgies are infected by bird mites. Solution is there in the article. Along with drinking the neem water do we need to aply the same on the body also to get rid of the crawling sensation and itching which normally starts in evening and night? Put a white towel on a big glass jar full of water and a lamp over it in the night time.You can see the mites as they will get attracted to the light and crawl on the white towel. 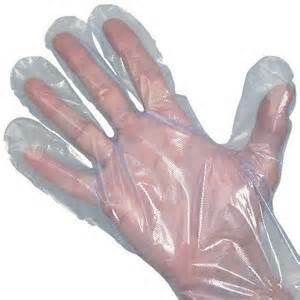 Human precautions against mite infections. 1.Do vacuum cleaning of your beds.Put the mattress out in the sun on a dry day.Throw off the vacuum cleaning bag immediately.Put dry neem leaves under the bed. 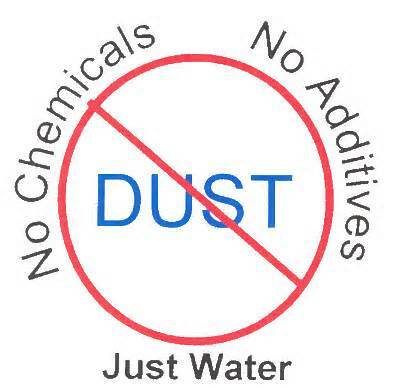 2.Clean you entire house floor with water mixed with neem water.Especially under the beds where dust accumulate. 3.Wipe out the dust from all the show pieces. 4.Take bath with warm water mixed with neem water. 5.Clean your scalp with a jug of water and one cap of cetrimide. 6.Drink Neem water on empty stomach early morning for 1 week. 7.Spray neem water in the cage with sprayer and wipe off. Mite infections are dangerous.Humans can also die.Do a through cleaning of the full house. Extremely sorry for replying late. Wash bed-sheets and clothes in hot-water. I HAVE UPDATED THE ARTICLE.PLEASE TAKE A LOOK. I love your website. When I was a child I saw my parents live healthy, spiritual lives. My father and mother respected and understood nature in a very deep way. It is a great blessing to live accordinly with the laws of this universe. I see the same wisdom here. Vedic knowledge is great! I have budgies myself, so the subject of birds is dear to my heart. I know when one truly and humbly seeks Truth, great truths are revealed. 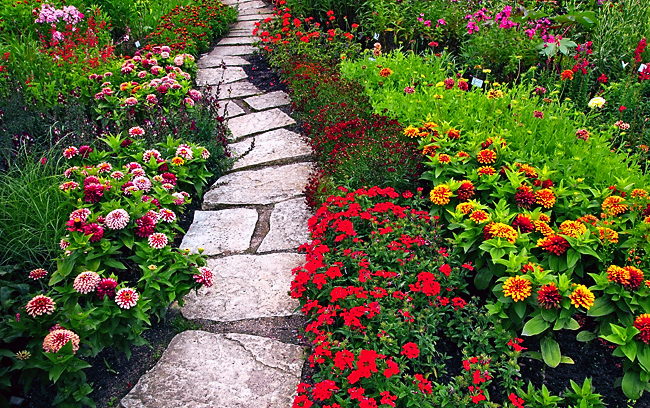 Gardening and planting is extremely important. Bless you for sharing your knowledge on this website. I am a loyal visitor but often shy to comment, however this website is too wonderful for me not to leave a comment. Thank you. Thanks for writing to me.You can also share your youtube videos if you have created one.Thanks to your parents for having you groomed so well that you care for nature. There is a bird at our residence, and it is not keeping well with its skin. His feathers are all gone, and the skin disease is spreading. 3/4th of his body is out of feathers. As there are no feathers, he is unable to fly too.. He is not able to sleep peacefully due to itching. Kindly let me know as soon as possible some good ayurvedic medicines, so that the bird is out of irritation, and gets back his feathers and is healthy. Awaiting for your early reply. How to deal with mite infection is mentioned in the article.Kindly read the article carefully till the end. your article is very useful to all the bird lovers. Thank You for taking interest in birds. Warmth as mentioned in the article or heating pad.Follow instruction as mentioned in the article for keeping bird warm.Ginger juice with honey. my pigeon effected with eyes prooblem & became very week,I put the gulab jal & eye tube but all is vain. Kindly tell me what i do? 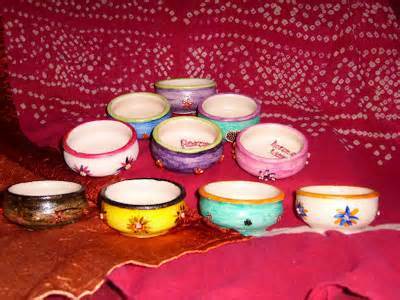 The market Gulab jal has alcohol and essence.Use boiled and cooled water.Give it a dob of boiled and cool neem leaf water to drink. My Name is amitava Mukherjee from kolkata.I have just got a lutino ring neck parrot around 3 months old.Since the day i got this bird,it has is wings partially dropped,feathers flupped & shivers. Other than the problems above the bird seems to be fine & also seems playing in the cage. At times the bird sits idle for long times with flupped feathers,dropped wings & shivers,seems its a bit weak. We dont have a single avian vet in kolkata hence any advise you provide mite help the bird. Thanks in advance & also wanted to mention that your article is just excellent. The bird also breathes heavily with very little exercise..but the good part is the bid is v active when its not sleeping or resting but in monsoons it seems to stay quiet most of the day,has v little food..
Any advise will be highly appreciated as we don’t have an avian vet in kolkata. Please read the full article patiently,It has the different solutions. Hi…i observed that one of my Budgie’s feet are scaly during these days..and she is not active..please advice the treatment. Hello ! 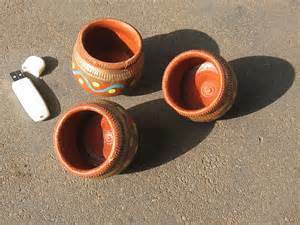 i was told that a pigeon is unable to fly & it was walking alone on terrace;I took help & manage to put pigeon in cage& feeding tiny broken rice grain,wheat,bajrabroken corn & chappati in small pieces ;it is eating & flap its wing occasionaly jumping in cage ;i noticed a spider hiding on neck & somewhere when i lef the pigeon out in my room;it doesnt fly ;it cannot sit on perchbut it manage to stat steady on my shoulder for a while otherwise it falls on ground when i tried to keep on perch;it twist its neck when it eats & rotate too;i noticed a back tail turned to one side maybe due to friction with cage or rotating ;i put a cap of sweetened aloe vera with stevia in a small earthen pot along with neem powder as drinking water;i was told by someone to use asprin in the morning feed & disprin in the evening;how should i help my pigeon?any suggestion;Today i found an ailing dead shargah bird below a pot hanging on a tree;it had no finger on one feet & one finger on another feet but it was able to fly ;i had thought of treating this bird as it had some swelling but it comes near for feeding & flies away ;i find another bird sick too & ii sits on low branches at times but flies away ;i dont know whether shargah was killed by cat as i had seen but it could have been attacked by hawk too;i felt sad ;Though i hung up a cage for my parrot with corn,apple & rice grain,peanut at a height of 2 metre above as i usually used to do,i wonder whether it is possible for parrot to enter cage at their own will;however i may have to cover it as the parrot are scared of hawk flying above all the time;the male parrot came to see me last tuesday as this was the day i set them free ;it was trying to catch my attentionfor sometime but being hard of hearing ?& some infection ,i was pointed toward my parrot by my maid;i managed to have few words with my male one then it flew off quickly;the female one was hiding in some other tree in my backyard &it was flying away screaming in fear which i heard it later on;Have you ever seen shargah bird?i had put few neem drop in earthen water bowl ;Do i need to do something more?i want to save a sick bird ,a pretty black & white bird ;i noticed so,e hair being pulled out on its head?& wonder whether mean wild bird did it;i worry about all the bird including pigeon;If there is anything i need to treat sick bird which cannot come easily in my hand ;i worry for their safety as one bird look sick & all come to eat biscuit,chapatti ,mango slices ,pomegranate,grain;Need i do something more?please reply! Hi Divya, i don’t have much idea about pigeons, but the spider which you are saying, i think is bird lice, bath with neem water is the treatment. Note : Please don’t consider this reply as a means to promote any website, etc. it is meant for the sole purpose of helping since i dont know much about pigeons and the admin hasn’t replied as of yet. Spider like insect is always there in wild pigeons.How ever giving regular bath once daily with few drops of neem juice not oil will get rid of the black insect on pigeon. boiled and cool neem juice is the best. Thanks so much for all your advice. I have been treating a rescued sun conure for a stubborn respiratory infection ( I think: He gets winded after a short flight and has a clogged sinus, it seems, by the sound of his breath) with echinacea and goldenseal and a bit of oil of oregano. I also put a bit of colloidal silver in his water. He seems to be doing much better – it’s been about a week – but then get’s hoarse again and tonight doesn’t seem so hot. Any advice would be greatly appreciated. It seems like I should get neem and watermelon juice. A conure is bigger than a finch. Dosages for one would be very helpful. We have a stray peacock who has developed a swelling in the sinus below the right eye.It has been there for about 3 weeks now. As a result, he can see only from the left eye, and also is not able to close its beak. So he is unable to eat anything. We’ve tried to feed him bread in sweet milk but he can’t get it down his throat. There are no bird vets in our area. Please suggest an ayurvedic remedy for him. We have a stray peacock. It has swelling in the sinus under the right eye, due to which it can see only through the left eye.It has been there for about 3 weeks now. Due to the swelling, it can’t close its beak and hence is unable to eat anything. I made a comment 2 days ago regarding the same, but its not there now. There are no bird vets in our area. So please suggest some remedy to bring relief to the bird. Heat therapy,ginger,watermelon is mentioned in the article. i really liked ur blog. I hv a female cockatiel at my place. We treat her just like a daughter. We keep her out (by closing doors and windows) whenever we are at home. Your article has helped us a lot. We can make some improvement. Thanks a lot for writing this. Infinite love to you and you beautiful cockatiel. Hi, i have a yellow tail bulbul. I noticed he is all puffed and sitting in the bottom corner of the cage. inactive and doesn’t have the strength to fly. what could be the reason. i clean the cage everyday. I put fresh food and water everyday. i hate seeing birds sick. He was so livily. I wanna get him back to what he was. A quick remedy will solve my problem. I have a male budgie, recently his left leg keep on hang up and while he walk around the perch look like pain to him, he keep on using his right leg to support his body. He do play with another male budgie (his partner) but not that active anymore due to his pain left leg. There is no avian vet here. At the moment I just give my budgie heat therapy, warm ginger juice. What else should I do, kindly advice. Thank you. Also feed calcium rich diet so that the bones heal fast. Thank you so much for your kind help. Wishing you and your family in good health and happiness forever. Wish you the same Lee.Wishing your country more prosperity and more happiness. Thank you for your wishes. Wishing your country the same too, and always in peace and happiness forever and ever. AWESOME article..!! i really loved it 🙂 thanks a lot mam..!! it will be very useful for people who could.t take their birds to vet 🙂 thanks a lot..!! I am so happy,you liked it. Dear sister. I hope you are doing great with lots of prayers and love from birds.. I need your guidance to recover my favourite budgies to stay healthy for more then a decade. I had bought 4 pairs of budgies in 2011. Now i have only 3 birds and lost 5 budgies very sadly. I donno how they died suddently one by one after some intervals. From the three one have broken legs. To make it as 2 pairs i bought one a month back. Now totally 2 pairs. The problem is tey all are flying singing but most of the time staying sleepy with head facing back side. Standing in one leg for most of the times. Staying at floor of the cage. These all makes me to restless. I need them to stay healthy. Fortunately i saw your blog. I couldnt catch them to feed drops.of tulsi and neem so i just mixed the drops.with water and gave it in a water container. Sprayed neem water on their body and all over the cage. Is this a right thing to do? What will happen if excess of tulsi and neem water given to them? Please send your valable suggestion to my mail id raheezahmed@gmail.com. If i give neem and tulsi water daily will it be harmful to them? Can i give neem and tulsi leaves daily with their food? Im waiting for your prompt reply sister. Neem drop once a month and dried tulsi or fresh tulsi sprinkled in diet to let them choose if they want to eat or not.Excess of herb is also not good.I will reply to your complete message on Sunday. K sister. I will be waiting for your mail on sunday. Please dont forget because before that you may get lots of post in this blog to answer. When a single Budgie falls ill,you need to put it in hospital cage as mentioned in the article and then follow the treatment mentioned in the blog.One Budgie infects other birds.The cause of disease is bird flu.Your birds are sick again.Has their feet turned dark? Sister for the last one week i’m mixing more coriander leaves and its stems in the diet. Now they seems to be slight better than before. Is it toxic for budgies? Will the excess of coriander makes them to get any health problem? Pls ans in brief. Hello, the graphic at the top of this website post is packing a bit unusual to me? I used sending a message however it bounced rear. Eucalyptus oil is poison if swallowed.To fix a broken bird wing first wash with anti-bacterial neem and water. If any bleeding dab a little cornstarch/wheat powder to control. If there is any signs of infection take the bird to a veterinarian. Wrap a 12 inch strip of veterinarian bandaging tape around the broken wing. Leave the bandage on for 2 to 4 weeks making sure it is not too tight for the bird. well I wouldn’t even ingest Eucalyptus myself, I was wondering if it was safe to apply it on the wound? no broken skin so either sprained, strained, or broken. Wing is drooping, she fell on it 4 times thereafter since trying to fly so now she’s contained. I have looked online and acquired same info u have given me. Now my next question…I am curious now u say that about Eucalyptus? If it was poisonous to them then why do they eat it in their native? The branches/bark and leaves are safe for them? SSoooo now i’m thinking is it because it’s in a more concentrated form? I know eucalyptus is unsafe for other animals but now i’m on the fence about birds. I have heard one lady apply euc. 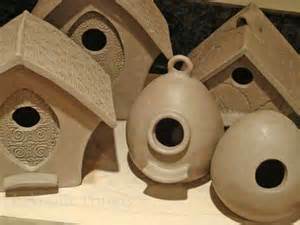 to her birds and also uses it as a incense oil burner for aroma in her home? my 3 months chickensare suffering from fowl pox?what is the cure in ayurveda? Hello, I have a alexander parakeet(parrot), from yesterday he is not eating well and always stays fluffy with his feathers, vomiting is also seen sometimes, and also he is not singing like my another parakeet. I have read your blog also, but please give me some advice what should I do..Also I am providing additional heat,some sugar water sometimes, boiled egg…I will highly appreciated, if u provide little advice. And yes your blog is wonderful.Very good information for birds. Your bird could have ingested something poisonous it seems. I would remove him or her if you already haven’t from the rest of the flock and place in a incubator or a recovery cage if you have one….keep a bulb on the bird. I use my tortoise bulbs that have UVA/UVB and usually recovers them faster…temp has to keep around 80-90 make sure it is warm at all times. update us when you can. He also urges to eat more sometimes and starts running in cage here n there, like being normal. But after sometime he again goes fluffy and take naps. he is drinking water also normally. But he is not that active he used to be or like my another parakeet. Also he is not singing. let me know how it goes or if you need further help. Yes I am providing additional heat regularly, but I haven’t separate from flock because my another parakeet behaves erratically when I gone to remove sick bird. For vet ,I have talked to some vets but none of them are avian specialists, they are saying that your bird got cold, provide additional heat and give medicine called “TETRAMYCIN”, I have purchased the medicine but did not given to my bird, as I don’t know how much quantity he needed, docs saying one tablet. Even some vets don’t prefer to give one tablet to dogs, how can I gave my bird a tablet. That’s why I prefer Hinduismglance method of recovery. Today, he spoke for some time. As said by you pedialyte I have ordered that also but also there are some methods to prepare it at home. And yes I have also provision for bulb at cage, but I am providing heat through heater from some distance while also covered cage with blanket. 1.Which is more appropriate heater from some distance or bulb at cage? 2. Is it necessary to separate him from flocks as he is showing some positive signs? Because my another parakeet is too much attached to him. I am afraid in separation another one doesn’t harm himself. 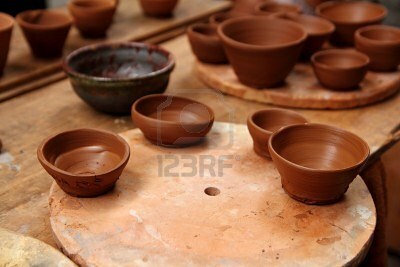 And thanks for your help and time..i highly appreciate it…! do the bulb! Some heaters omit toxic fumes. the bulb should be near 6inches…my bird loved the bulb at around that height for recovery and sometimes she would go closer to the bulb. I use gas heat in my home but it’s central, not a portable heater. The reason you separate the bird from the rest of the flock is because the other birds will get sick too! Then you will have a whole flock of sick birds. As for that tablet…birds weigh a few ounces so you need to find how much to administer….maybe I can check my books..I am currently studying Veterinary Technician. IF your bird is old then you can dose them with whatever the vet gave you but if your bird is old it can be going through arthritis or not much you can do. If your bird was absolutely really sick with the flu or something else (bacteria related) and your bird has been sick for over 48 hrs then I think your bird might be ok if you administer to him now. Since your bird can’t leave the flock then just leave the water with the meds in it and the rest of the birds will be ok if they drink it. If you are unsure then please remove your bird so that you can treat him alone….since you don’t want to remove the bird then leave the water in there and maybe they can all sip it if they might catch the cold as well. make sure the tablet is dissolved before you give….some vets give this in liquid form so it’s roughly half a tsp to a liter of water but since yours is in tablet form IDK the dosing….IDK how big the water bowl is you are feeding them from? How many tablets do you have? If you have more than one then I would say try cutting it in half and dissolving in their bowl and give that to them…if no signs of progression then I would say a whole tablet in their bowl. I don’t want to give you advice as I am not a veterinarian so I cannot treat or diagnose your bird but they are just my suggestions. My bird hurt her wing not too long ago…she is fully recovered and can fly but at first I wasn’t sure if it was broken but there were no fractures or open wounds so it was just a sprain thankfully! The bulb helped her recover FAST along with perching on my computer for added heat lol I hope your bird is good and hope it’s a speedy recovery…please let me know or update us when you can. I am from India(Lucknow), And yes it is TERAMYCIN. my bird is able to move freely in cage. No There is no discharge from nostrils, and my bird is 2.5 years old only. Today he also spokes but again for sometime. Then again gone to rest. I have three more tablets and yes I will make it half and then give it to my bird in water. Sry I cant order it from the site as delivery is not available in INDIA. And about POOP, it is green plus white semi liquid type. and doing normally as before. can we give gur to indian parrots? does neem water clear coccidiosis??? Nice Article to give information on Treating birds and Living with Nature and Save them. Homoeopathic Medicines also be useful to treating animals and birds in India. you can buy it at your door steps by simple order form, or a one phone call or a email and also get the free telephonic/email consulation too. Hello Doctor! It’s really nice to read post/reply form your side. I am from pakistan and most of herbs are also available in my country too. I’d like to ask, please tell me how many Naeem leaves, Garlic Cloves, Ginger, Turmeric and Holly Basil leaves should I add to one litter of water. I want to let my Birds Drink this water Weekly or bi Weekly. Also please suggest me how many Naeem leaves should I boil in 250ml of water if I want to drink Naeem water myself. Many thanks in advance. Humble regard, i have to budgies they sneeze at night and ine of them make a little sqeeky sound just little . Whts shd i do to help them reduce these sneezing . please tell me can we give jaggery or gur to Indian parrots or any other parrots? if it is useful for him then in which way? what does it provides to him? is there any side effect of jaggery on him? please answer me soon…….HE LIKES TO EAT JAGGERY BUT I GIVE HIM VERY LITTLE…………. Hi sis i have 2 alexanderian parrot, they are 1 month old. i took them home yesterday. one of them is eating properly from my hand and often open his mouth when i take my fingers close to his mouth but the another one is not doing so. he is not eating properly from the morning even he is not opening his eyes and many times he slept. what should i do? please reply sister. I have a feral pigeon and i live in Delhi.. its not a pet actually bt once made the nest at my window..and its been one year he is there with his female pigeon and i offer them seeds and water ..now they are not afraid of me as 1 year has passed and i think he is sick as now a days he always prefers to sit rather than standing and is always closing his eyes..i feel him being dizzy i think..he is feeling sleepy..his droppings are watery and he is hardly eating ..but only drinks water..please help me with a herbal treatment..
Namaste Sister…very useful article, I also recommend to offer organic diet & treatment to my exhibition budgerigars. My parrot was sick for the last few weeks; however he was eating properly till this morning. Yesterday evening he had a fill guava. I have been giving him tulsi water and he did show signs of partial recovery. Yesterday I gave him neem tea and he did eagerly have it. However today he was sitting on the cage floor and refused to eat the guava. I have given him the 20 tulsi leaves boiled in water and cooled till it was very small quantity. He had a drop. I sincerely hope he recovers. can you please help me regarding my cockatiel’s problem? he is 8-9 months old and it’s been like 2 months since his poops have become bubbly specially when he eats watery foods or water. it doesn’t seem like to be just gas cause as I said it’s been 2 months.. he also doesn’t eat much like before and most of the time is nervous and angry. hello mem.my indian ringneck parrot has a swoolen gland below her left ear for twenty days and she is closing her left eye partially.after dr. advice i have given her dose of antibiotic combination of four drugs dexona ibugesic plus odoxil and neurobion.now from 5 days iam giving ibugesic,liv52,and mega cv.but yesterday morning we saw blood in her mouth and nose in her left side.vit.said that the gland or d deposit is melting and now she will recover but she is closing left eye more than yesterday.she is eating food and juice only.what should I do.please help me. I read your site with interest. & excitement & have started to use some of your advice. My question is – what quantity of honey & cinnamon do u give a chick that has the flu ? Is there anything else i must do? I look forward to your reply. Hi- thanks for your article on neem treatment for birds. I have two cockatiels and was shocked to see a “mite” squirming around the feathers of one of them. I did the neem treatment and now they don’t scratch. But they still scratch behind their heads sometimes-is this normal grooming or do they still have mites? Thanks. Hi again- can cockatiels be kept in an outdoor aviary in Bangalore? I am worried about the cold weather here and the sudden fluctuations of temperature. Do you know of anyone who keeps her cockatiels outside? Thanks so much! I have a pet pigeon at my home. since two weeks long it is having some eye infection on one side. It can’t see well and not taking food too. So please suggest me how can I cure my bird at home. 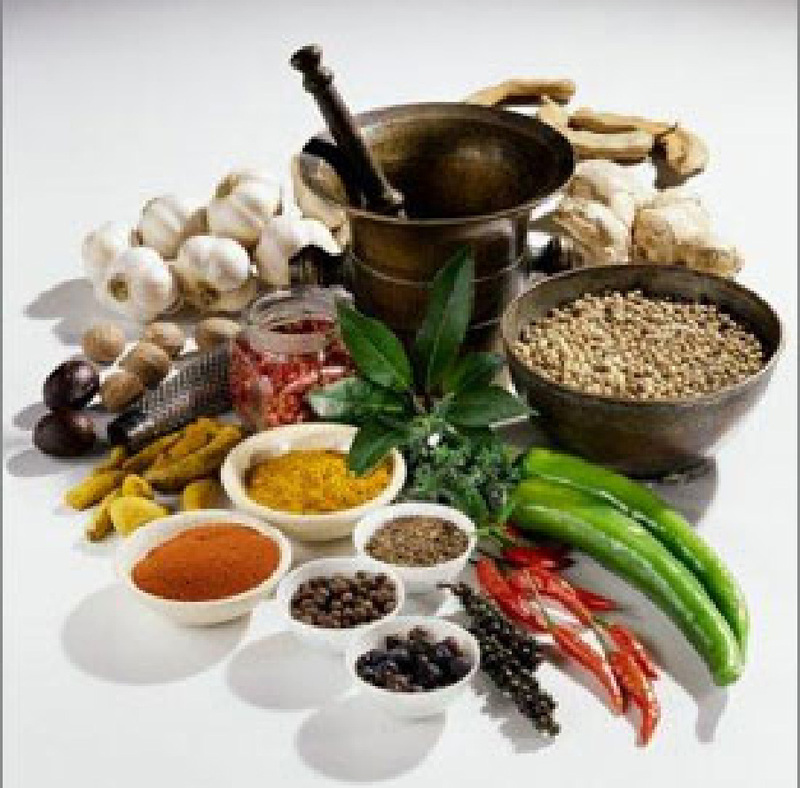 Suggest any herbal treatment which can be easily available at home. Expecting your reply as soon as possible through your mail. Mere Ghar 4tote hai jisme se ek parrot ke aankhon me red red sa ho gaya hai Maine Dr.se bat kiya to unhone mujhe eye infection bataya aur ciplox eye drop dalne ko bole hai maine ek drop dala bhi lekin o bilkul bhi apna ek aankh nai khol rahi hai mujhe dar lag raha use kuch jyada problem na ho jay kya aap meri madad karenge..mai use drops vagairah nai dena chahti pls aap mujhe kuch khilane vala gharelu upay bataiye pls mujhe aapke help ki bhut jarurt hai pls aur aap Hindi me bataiyega English mujhe nai aati aur SAP Hindi me bhi parrot se sambndhit jo aap English me likhe hai use Hindi me bhi likhe pls.. I have a parakeet (Lilac) who I was told by a vet that it’s a boy. He has always shared a cage with a cockatiel (they get along well), but there are no other parakeets in the cage. Lilac seems to be carrying eggs (I have love birds that lay eggs, so I know what it looks like). The vet tech says that it is possible far a male parakeet to have eggs. Weather that be true or not, my main concern is to avoid egg binding. Lilac is eating and acting fine, but I want to do what ever I can to make sure he has the egg/eggs. I have a heat lamp on one side of the cage, so he can sit in forint of it if he wants to, and I just put a nesting box in there also. Is there anything else I can do? Thank you so much for your response about my parakeet Lilac. I was incorrect in thinking that it was egg binding that I had to be concerned about. My vet says that he has a cyst, or a tumor, and that the thing to do for that would be a surgery, which is very risky (he could die). Lilac is eating fine, and the only thing I notice that he is doing differently is that he seems to hold his foot up (from discomfort) occasionally, and he has also started to cling to the top bars of the cage at night (which is highly concerning). It was suggested that I have an aspirate test done to see if it’s a tumor or a cyst, which could result in bleeding, and would just be done to determiine if it’s a cyst, or a tumor, and how urgent surgery would be, which as I said I’m trying to avoid, and trying to heal him in another way. I have contacted a holistic vet, and am trying to find otere alternatives to shrink the growth. I know b17/laetrile/amygdalin shrinks growths in humans, and dogs, but that birds are very delicate, and haven’t found any information about b17 and birds, other than that millet and grape seeds have b17, but I doubt Lilac would eat enough of that to get enough to shrink a growth. Do you have any suggestions for me? Thank you for your time, and kindness. First of all let me thank you for bringing such educative portal for birds lover. I need your serious advice here. I have African love bird. I noticed him sometime vomiting,( I know it’s common in birds). But w he’s regularly doing this. Is this common ? I am worried. What should I do ? There isn’t any Vet for birds in my city. Pleas help me. I could not refrain from commenting. Exceptionallly wel written! m Nikhil from Mumbai plz help me . Parrot diet is fruits.apple, apricot, banana, cranberry, mango, nectarine, orange, papaya, peach, pear and pineapple. My budgie has some loose droppings stuck at his bottom. i am keeping ginger juice+ water at night but he is not recovering. what should i do? hello, I have a parrot and it has cataract in right eye. but there is no avian specialist in my city. so i want to know about any ayurvedic treatment for cataract in birds. Its cataract is in 2nd stage. if you can tell me about any avian specialist nearby Delhi. I am new to your website and blog. I have a Peach faced African Lovebird and she has become sick suddenly. The consulting vet has indicated that she has a bone tumor on her right leg possibly affecting her chest area and also that it is incurable. The bird is unable to walk freely or fly and has lost her voice substantially. I would very much like to help & nurse her back to health. I am against euthanasia and would like to keep her going comfortably as long as possible. Two days ago a pigeon got smashed on my balcony’s window. He was too weak to fly or move. His eyes were covered with puss. He was also suffering from diarrhea. I cleaned his eyes 5 times but puss starts to build in 10 to 12 hours. By next morning his eyes again filled with puss. For diarrhea i gave him ginger juice but i dont know what should i do for his eyes. Please guide me as i dont want to opt alopathy treatment for him. Hello.i want to know something as my baby indian parrot of 1 montg is having eye infection in right eye i want to know the solution. Hi, thankyou for publishing such a valuable article. I have 3 cocktaiels one male and two females. My male cockatiel has been keeping unwell as both his legs ate paralysed. He cannot move, we took him to a vet and she prescribed some medication for ten days but there had been no improvement. 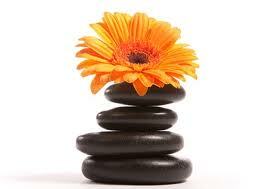 Is there any ayurvedic treatment that can help. Please assist seeing him in so much pain is really difficult. Thanks. My green parrot have respiratory infection and he is breathing from his mouth.. he is on antibiotics.. can u please suggest me what can I do so that he is 100% cured. I have a couple of Indian Ring-necks, a male and a female. Off late, the male bird has been infected with some eye problem, due to which it keeps one eye closed. The eye has turned red on the outside and the outer eye skin also seems loose. I have been washing the eye with rose water regularly, though the progress is slow. It opens the eye for some time and then the same problem returns. The parrot is eating normally and is trying to hide its eye from me, pretending its totally fine, by looking at me with the other eye, which is totally fine. Though it ails me when I have a look at the infected eye. Please help. I HAVE AN ALEXANDRINE PARROT 02 YEARS OLD. FROM LAST FEW DAYS HE IS PLUCKING HIS FEATHERS CONTINOUSLY.. ON HIS HEAD I CAL ALSO SEE FEW SPIKES OF NEW FEATHERS. IS THERE ANY REMEDY TO PREVENT IT??? Use Neem water spray as mentioned in the article.The problem with Indians and Pakistani is that they never read the full article and wants someone to answer them and waste time. I m having a Indian parrot. ..he is 2 months old now he is having eitching problem in whole body..
Plz mam ans as soon as possible…. hello, your blog is really helpful. 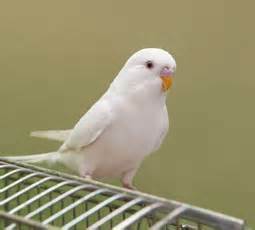 I have one pair white finch. recently i have noticed that one claw of my female finch getting overgrown and she is loosing feather from that leg . she can fly but maximum time she sat on cage.please advice me. what can I do now? my parrot do itch all body over and fall feather..what i do for it..? My conure is holding her foot/talon up to/in her mouth/beak and water or saliva keeps dripping out of her mouth/beak and if she shakes her head it (the saliva) splatters around. Do you have any advise for me? I was reading that it may be thrush. If that’s what you think it is, can you recommend any natural anti fungal to help. And anything else I can do? Please help if possible! Hi myself Krishna I’m from Bombay India . I was looking for Budgies Birds as I’m planning to have them so I saw your link and read what herbs & advice you given is really remarkable I even read all the comments & your helpful reply . Can you advise m how I should take care of my Budgies Pair what are the healthy nutrition food I should give so they can have heathly & happy long life . I’m veggie please No eggs. Hi everyone finally I brought pair of Budgies Birds well we all welcome them for their new sweet home and try to make them comfortable , but my female Budgies is shivering bit can you tell me why she is doing that . I brought Budgies yesterday from Pet Shop & till now I have not seen them Eating & Drinking a part from seeds which mix with sesame seed veggies fruits but no response from them I’m worried why they not eating & drinking what is the problem . Helo ma’am today I saw my Budgies butts are stick with poop so I clean them with warm water with help of ear buds hope this is the right way to Clean the poop stick to bottom of Budgies . What are the permanent solution for this ? Hi its 1week now I’m trying my best to give veggies leafy & fruits to my Budgies but still they are not even trying to eat please tell me which is the easiest way to make them eat veggies & fruits . Can you tell me how to make them eat veggies & fruits its really tuff trying from last 12days now when I brought them from Pet Shop , I give them mix veggies like carrots, sweet potatoes, beat , spinach , coriander , Mung sprout , wheat sprout or grass , banana , oranges , apples , watermelon but they don’t eat that much the way they eat cry for seeds. I’m waiting for your kind reply . What is a cure for Moult in Budgies Birds ? What is the Cure ? There is a lot of variations in health condition of my gouldian finches. Suspect air sac mites. Female is sitting fluffed up & wiping its beak to perches in the cage. Neem tea treatment was done for 1 day. But problem persists. Now i am trying Amrut & Amrutadi vati tablets, crushed into powder & mixed with feeding water. There is not much change. Pls diagnose the symptoms & provide solution. I have 2 zebra finches, but the female is lying eggs and due to that she is very weak and somtimes she have breathing problem, she can’t breathe properly, the male is perfectly fine, also they hav wet dropping. Plz suggest treatment. Plz reply. I have two zebra finches. The female is lying eggs due to which she is getting weak , nd she has loose motions, she eats properly nd is very active but she can’t fly nd sometime she can’t breathe properly. I gave her medicine for fever nd she is better now bt not fully active nd still has breathing problem nd is very weak. Plz suggest treatment. Plz. I m waiting for ur reply madam. My baby parrot one eye is closed. Treating with gencin eye drop.no improvement seen.04 day of treatment. vommiting from 2 hours and looking very weak and less talkative .what to do now?? I had 8budgies.It has become around 25&unmanageable.I had wanted to give away to Chaatbir zoo but they keep predators birds too like owl .,bats.i thought they mayy feed birds too.Then Then i decided to give to Shukhvana in Mysore but my parent r not agreeing to travel frm Chandigarh to Mysore in train.I thought PFA may help but they didnt turn up .Since my budgies flies in my bedroom then will they survive outside if i put up nest boxes..though crow &rufuos tree pie birds do see them.Will budgies survive in backyard with feeds put out for all wild birds who visit front &backyard? ?please advise what should i do?? I have 4 small parakeets(budgies) and they are not well from past 15 days,they always have puffed up feathers and they make clicking noises or like if the have cold,they also have difficulty in breathing,i have tried many medicine(terramycin,sinarest,cefpet,melonex) prescribed by veterrian but none of it worked,i also don’t have any bird specialist in my locality or nearby ,please help me mam ,i am looking forward for your ans. Namasthe Madam, its a very useful article. Eye opener as well. But i have question, i have hearing that excess intake of neem (say more than two times a year) will lead to fertility problems, please tell your opinion? What is the best general tonic for bulbuls and budgies to keep their immune system strong. A wonderful article. Got to learn something new. I am an hobbyist and a breeder of parakeets. We have a group called Maharashtra Bird Lovers on whats app, would like to invite you to the group. 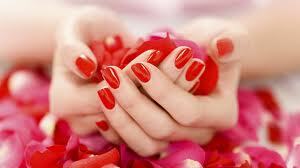 If you wish to just drop down a message on +91 9922837303. We would be glad to have you in the group and get guidance from you.
. I have 13budgies and 5budgies are sneezing frm sometimes.. plz tell me what medicine should i give i m already giving them.neem water i dont what wrong with them.. rice is not warm in winter? Or my lint blanket making them.to sneeze? Or they hv cold i m already giving cold medicine in water. Plz plz help me ur advice can save my birds. I have two gouldian finches and I think they are suffering from Air Sac mite as per the symptoms symptoms​ like they can’t call properly, trying to call but with a very low and hasky sound. Please tell me what to do. Eagerly awaiting your response. Thanks a ton in advance. Hii Miss. I have a 2 Red Whiskered Bulbul this morning i saw that one of the femal baby can’t fly and walk properly it has become weak till this morning I give them freedom at my home pls tell me what to do. Hii Miss. I have a 2 Red Whiskered Bulbul baby this morning i saw that one of the femal baby can’t fly and walk properly it has become weak this morning I give them freedom at my home pls tell me what to do. One of my budgie is sick, i gave her a drop of ibuprofen at night time but still same, i consulted with vet according to vet it’s bacterial infection, please advise what need to be done. Hello… My lovebird got an ear infection. I am so worried. Can you please tell me what should i do to treat my lovebird? Waiting for you reply Madam. Thank you in advance. and sleeping on their back when i come feed them in the morning. Hi, my linnies hen looks suffering breathing difficulties since she hatch on March. I thought it was Air sac mite infection. Today I found some infection in her mouth. please advise me what to do.